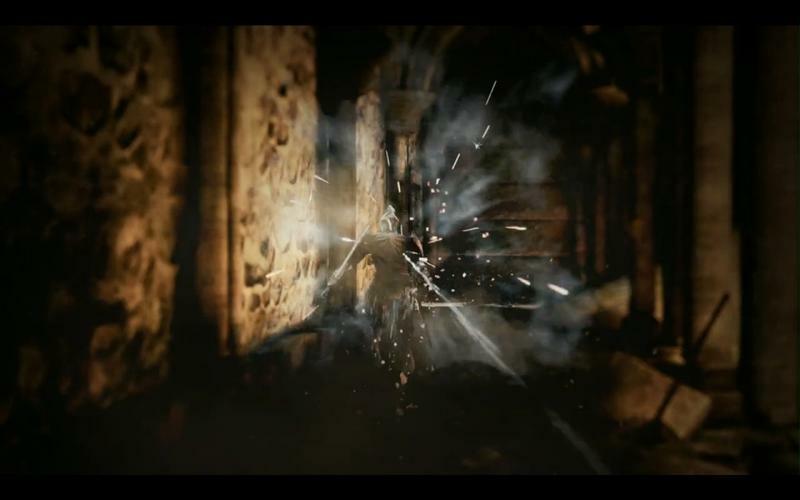 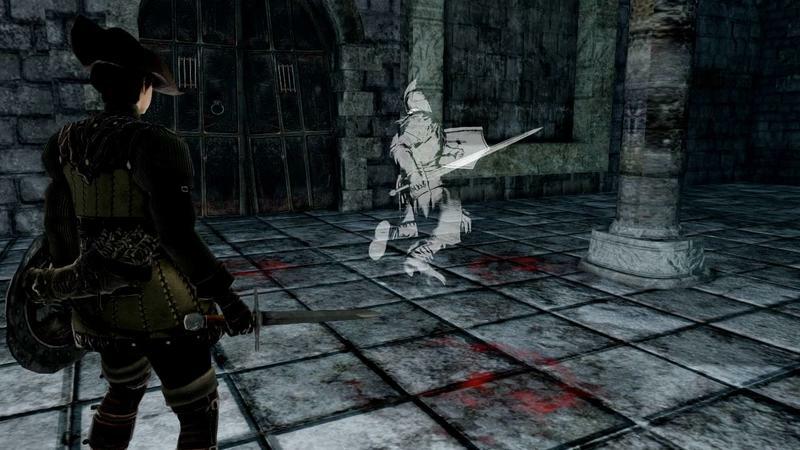 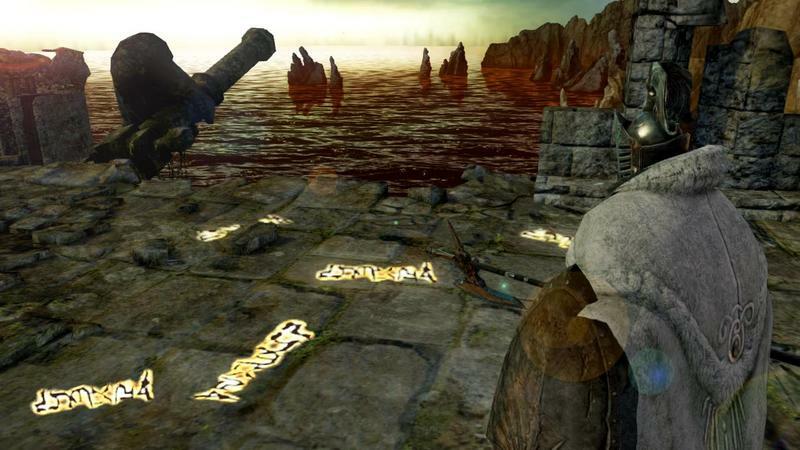 This week on Screenshot Saturday, we sit back and take a look at the horror of Dark Souls II, the next black fantasy in FromSoftware’s brutal action RPG series. 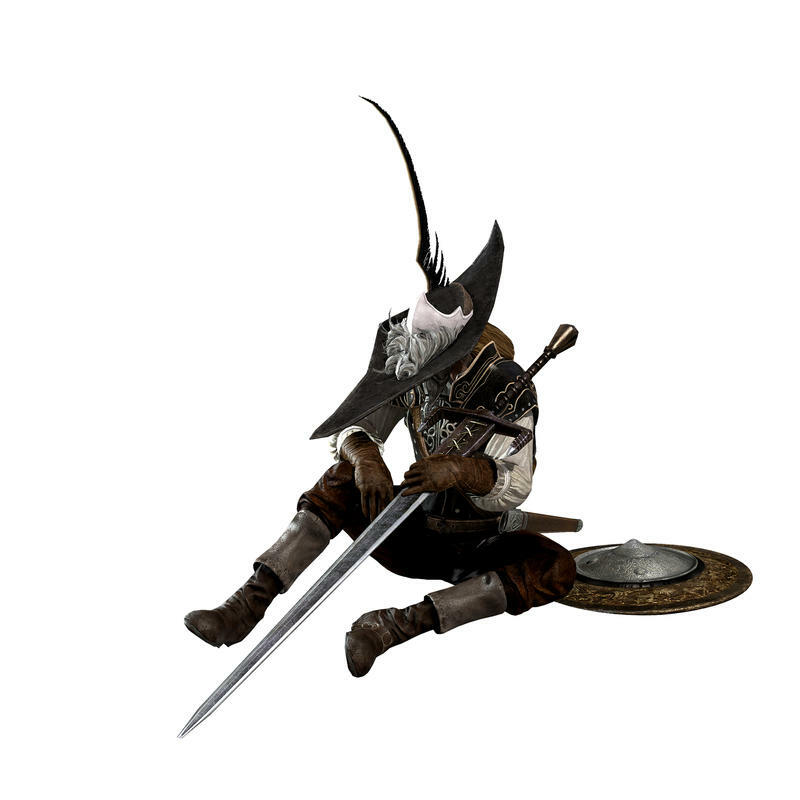 Despair. 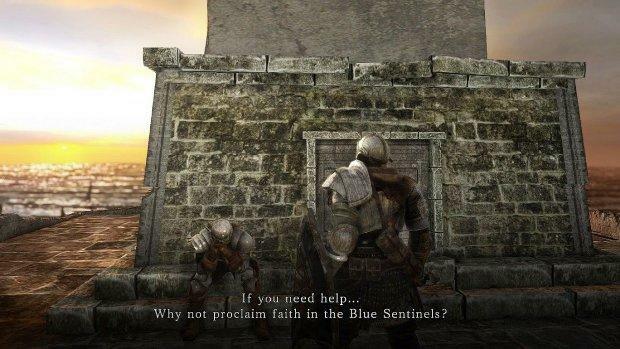 Bleak. 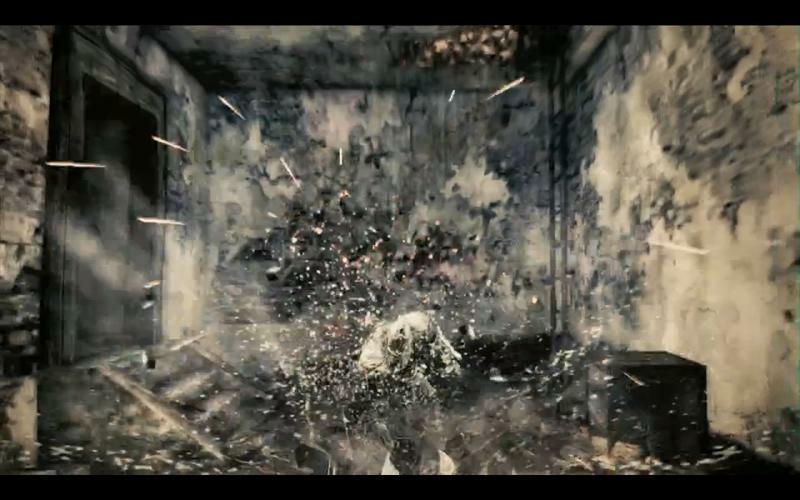 Lifeless. 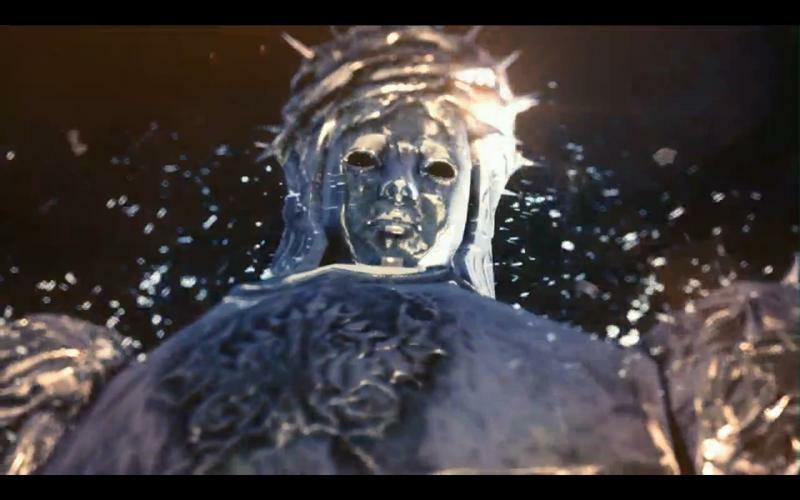 Horrific. 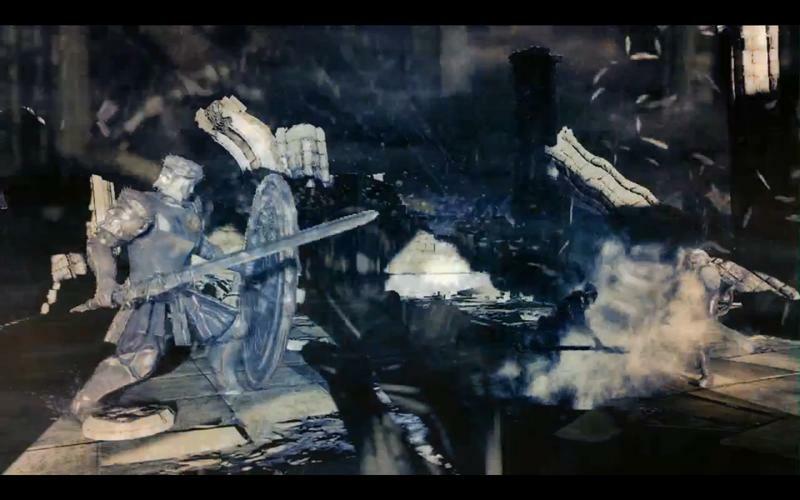 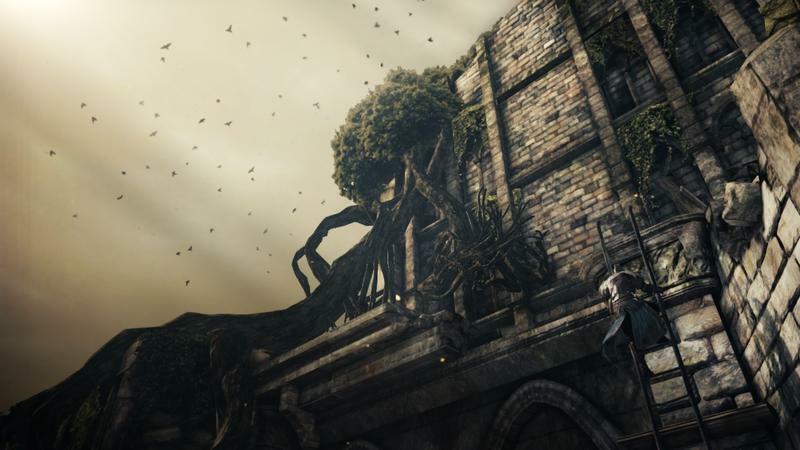 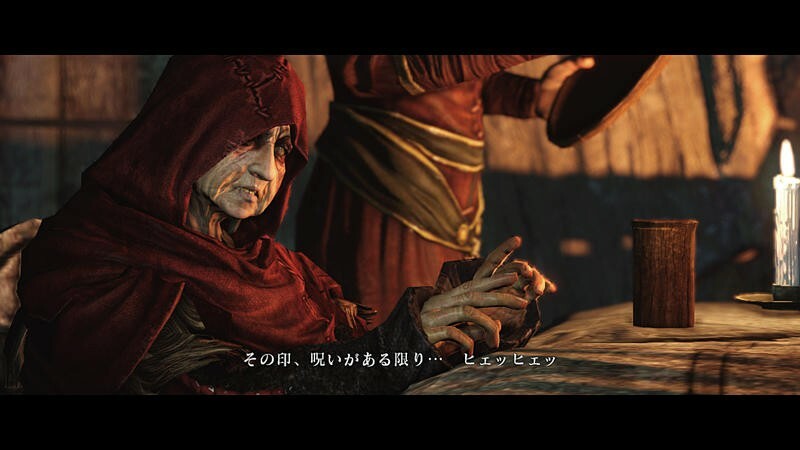 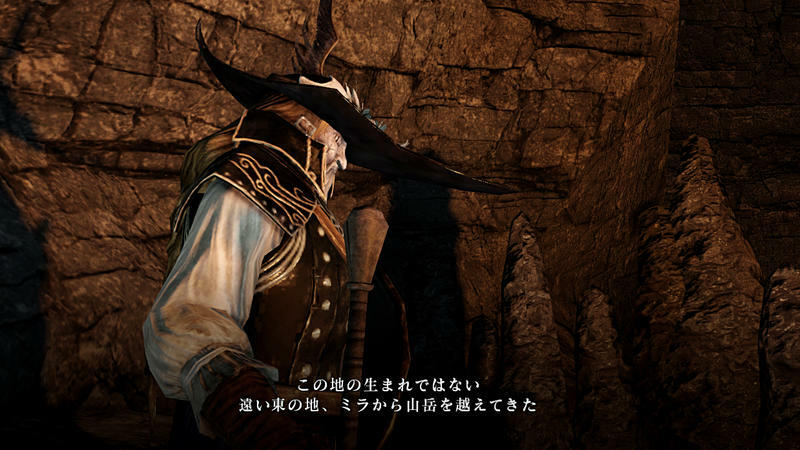 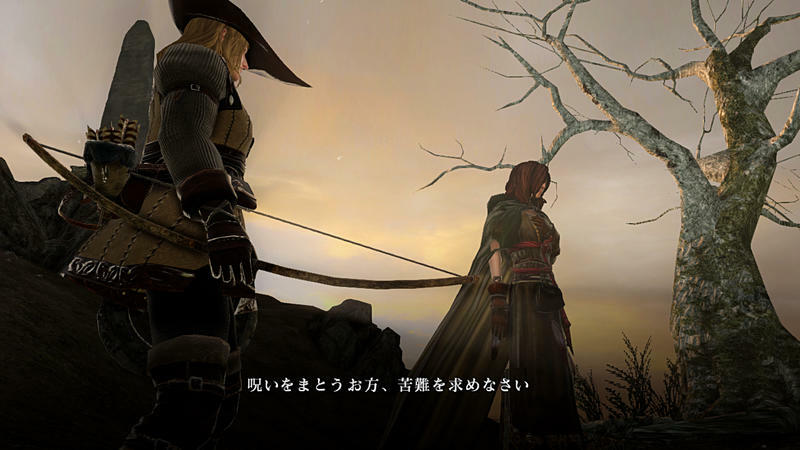 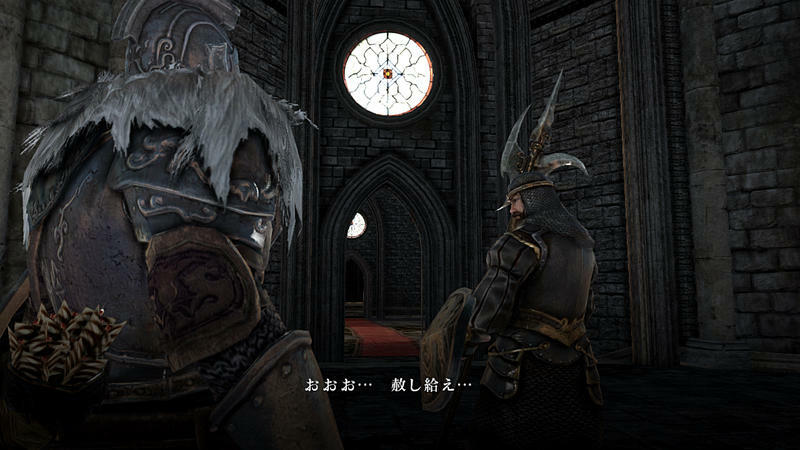 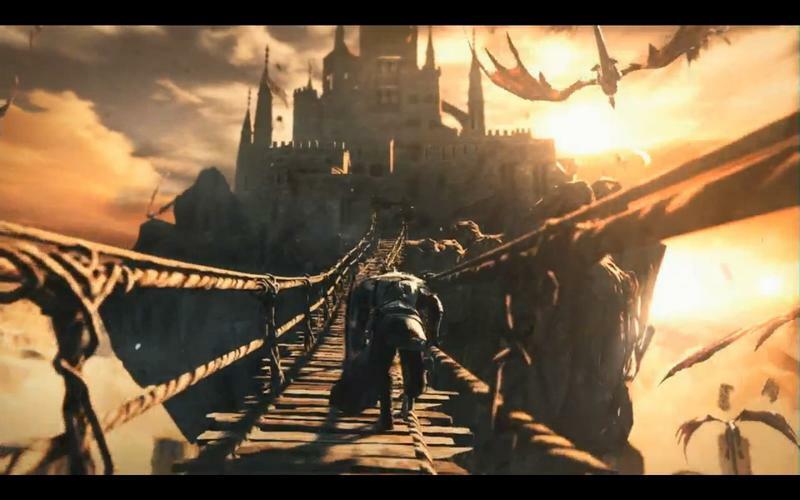 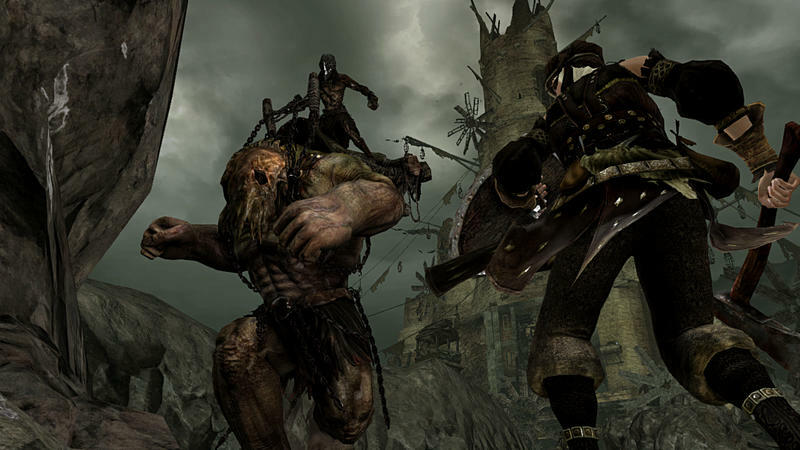 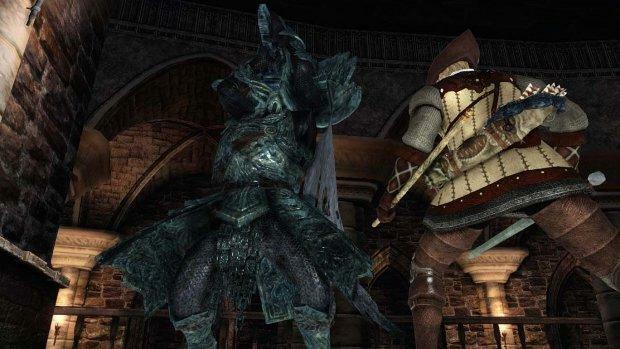 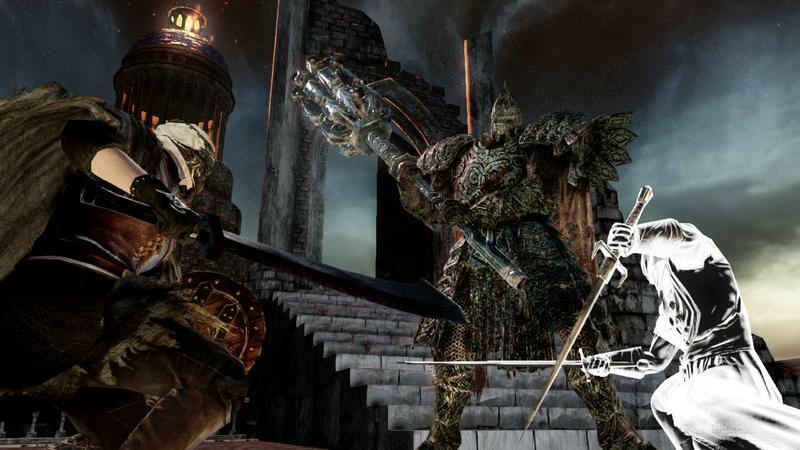 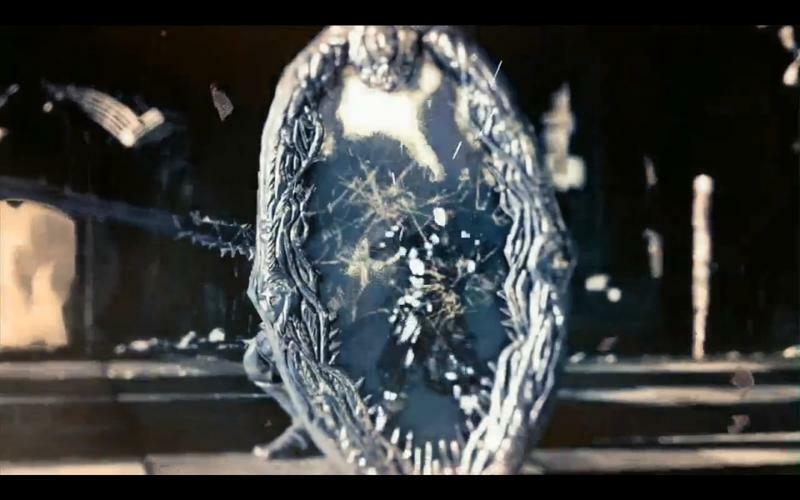 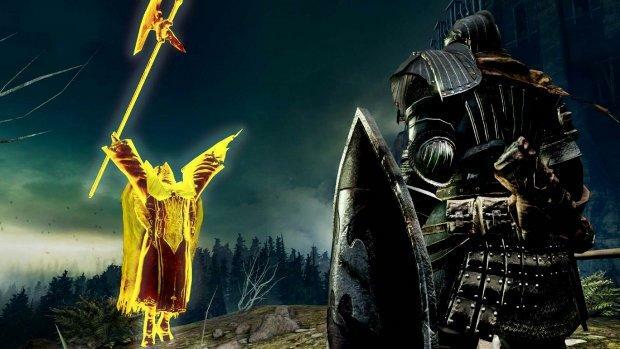 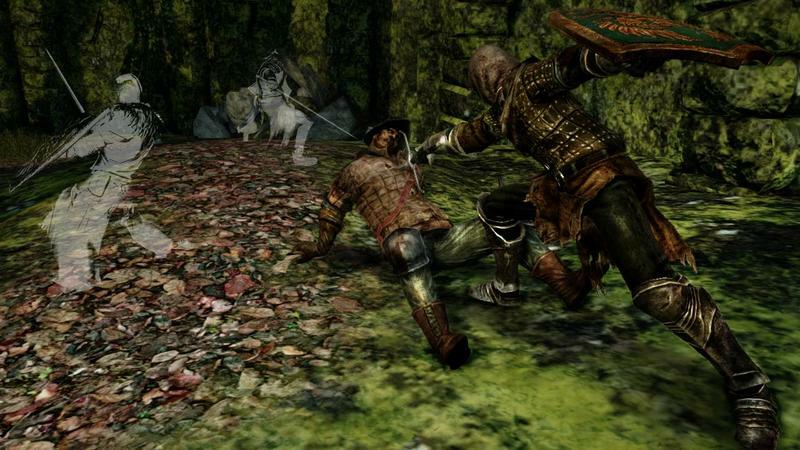 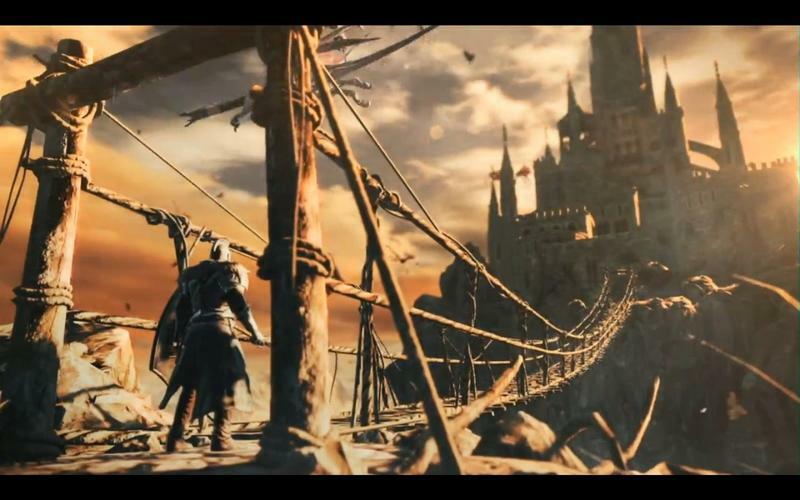 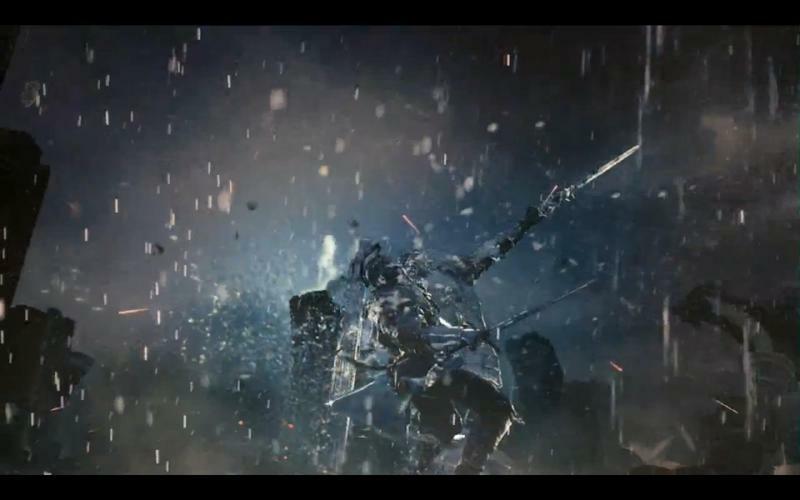 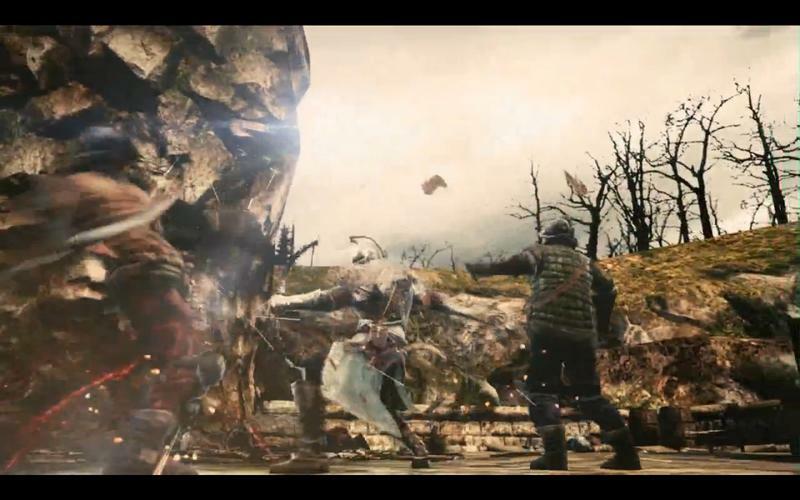 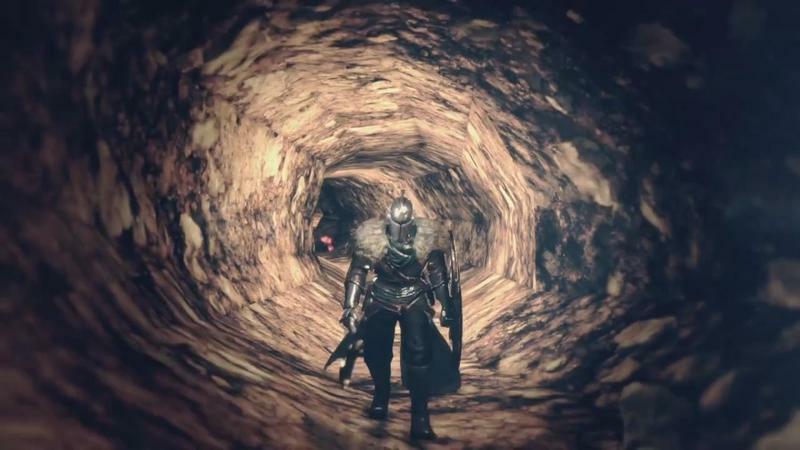 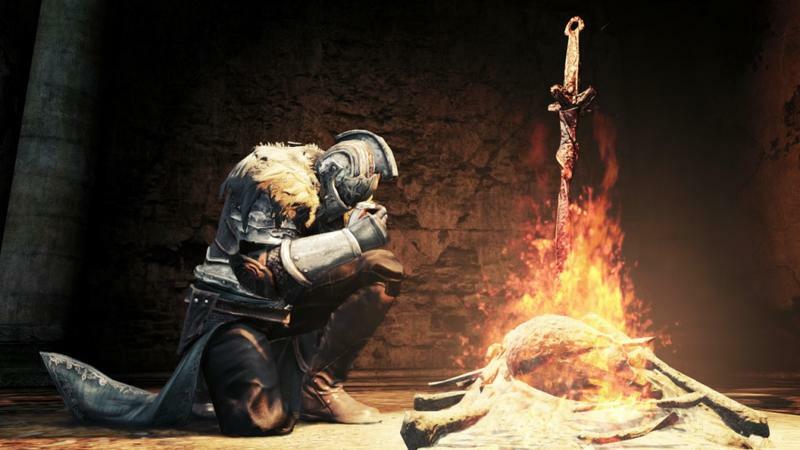 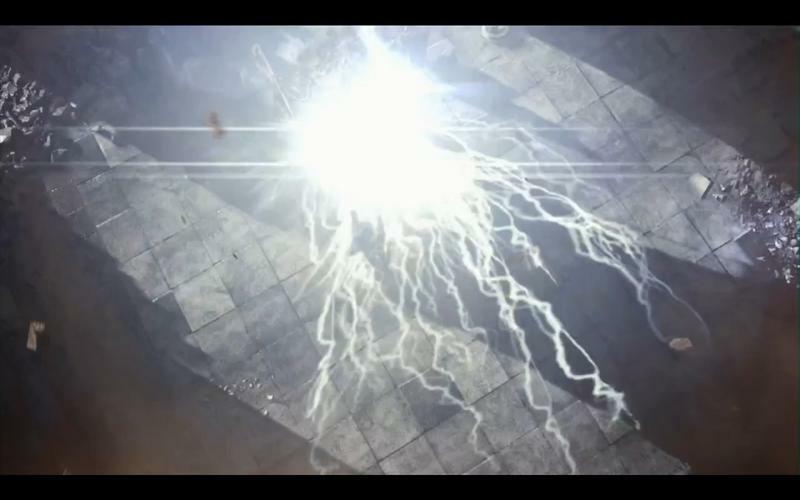 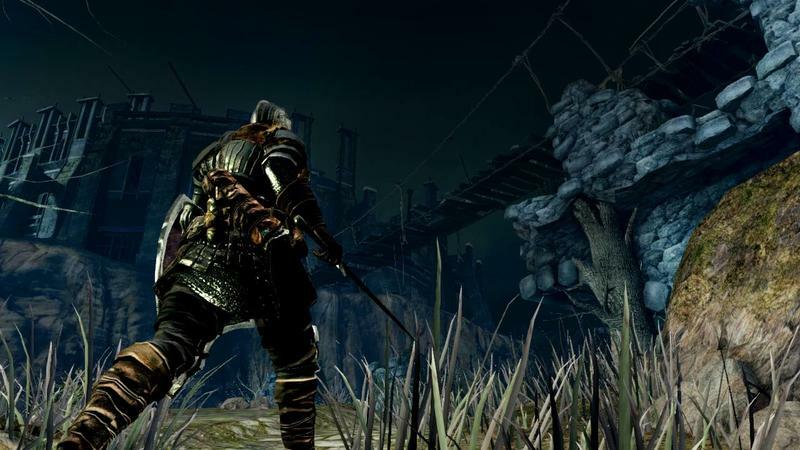 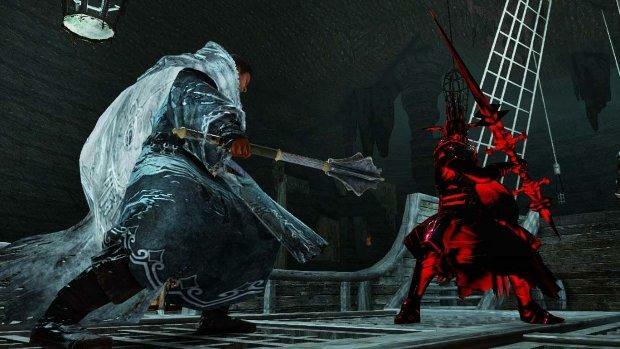 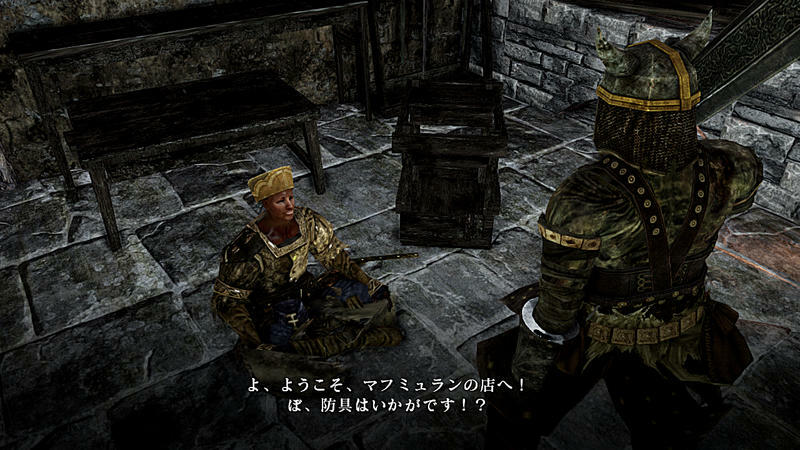 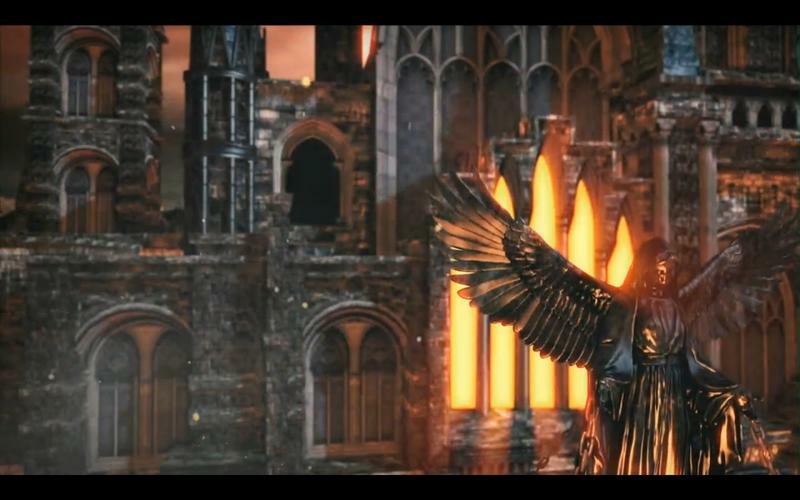 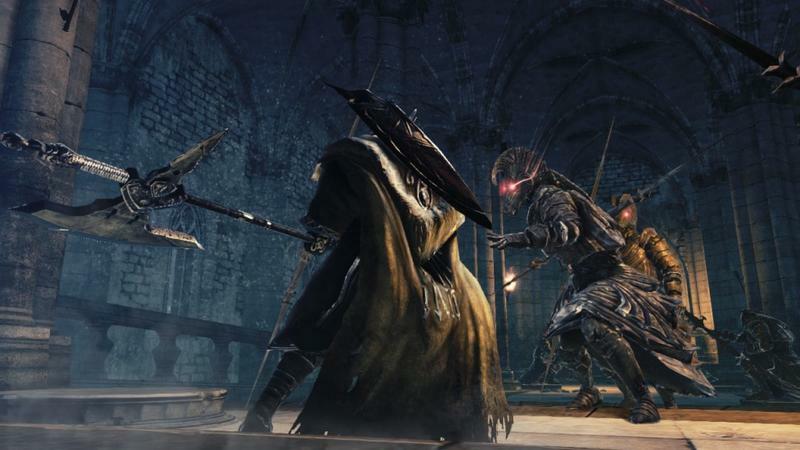 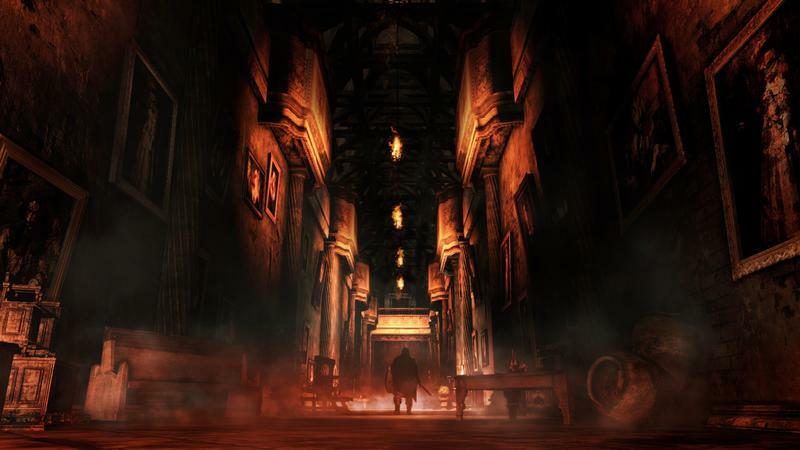 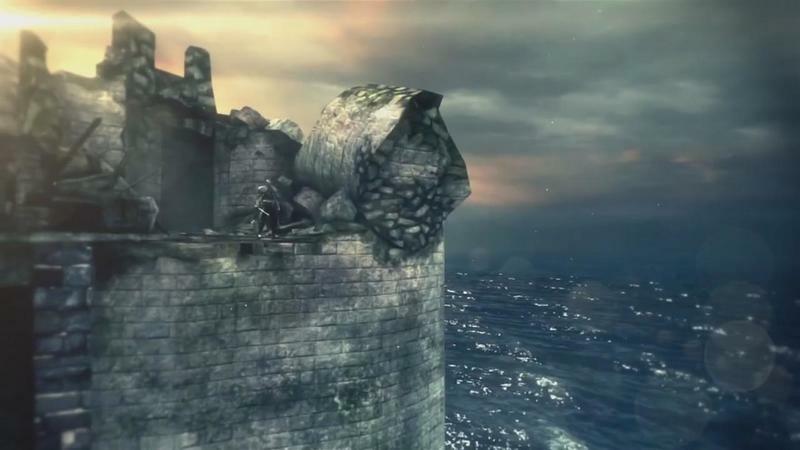 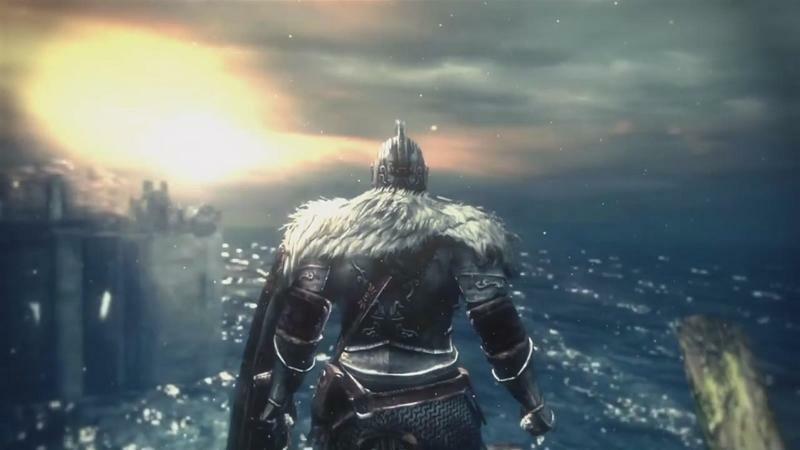 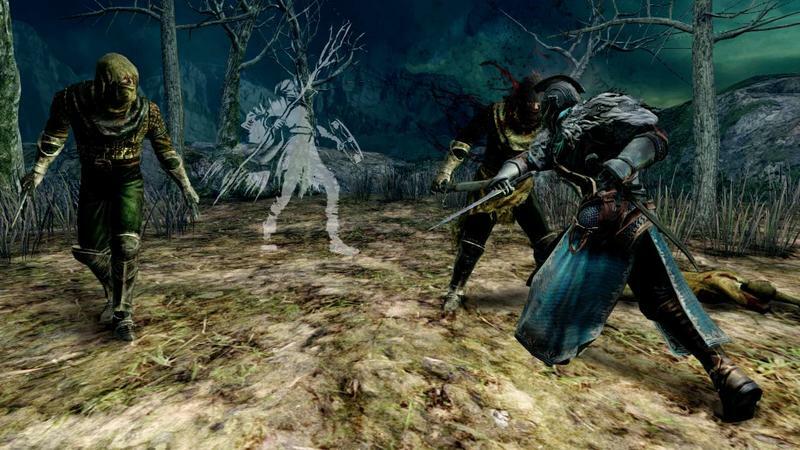 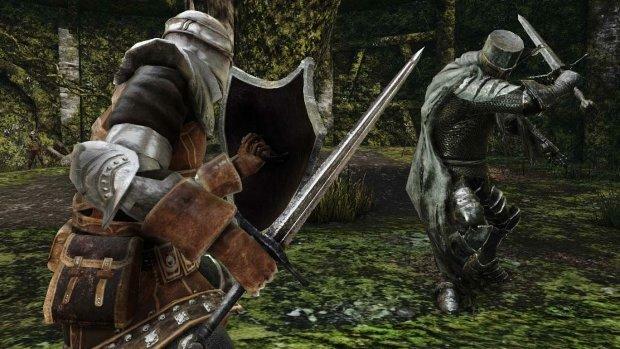 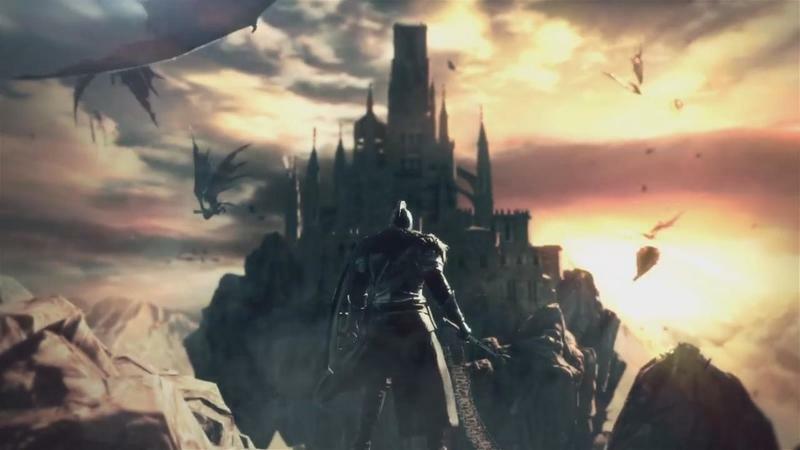 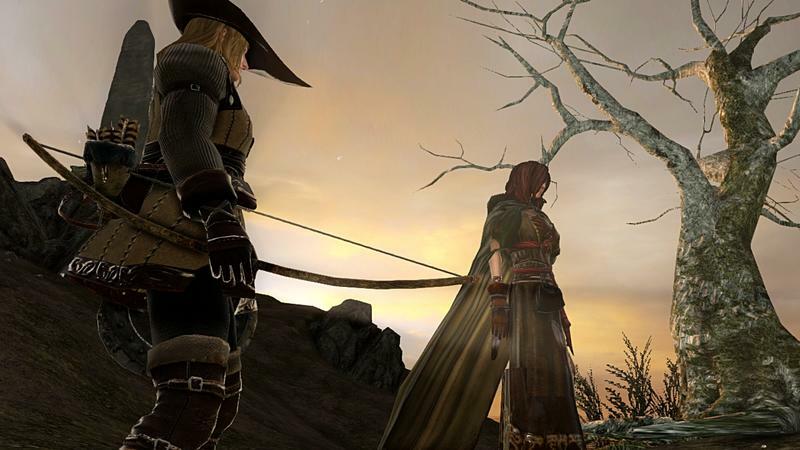 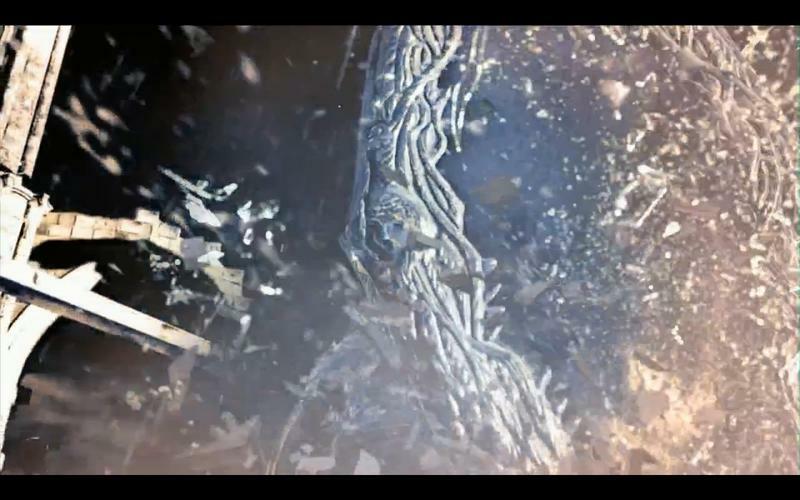 There is no shortage of depressing and gloomy words to describe the fantasy world that FromSoftware has carved out for itself with its last few hits. 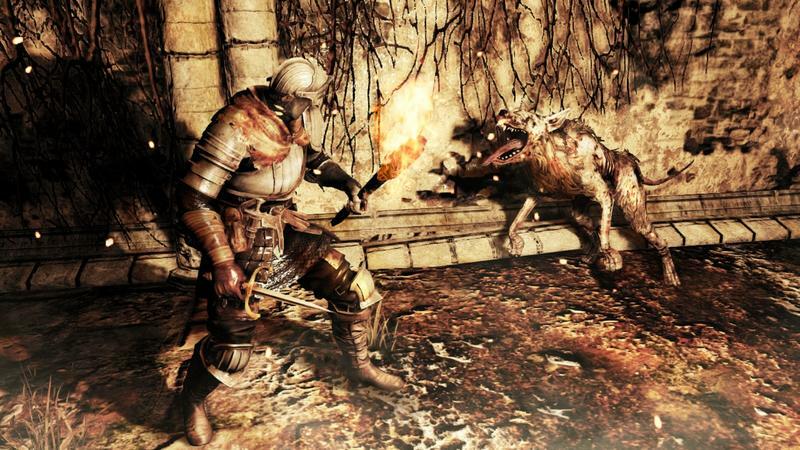 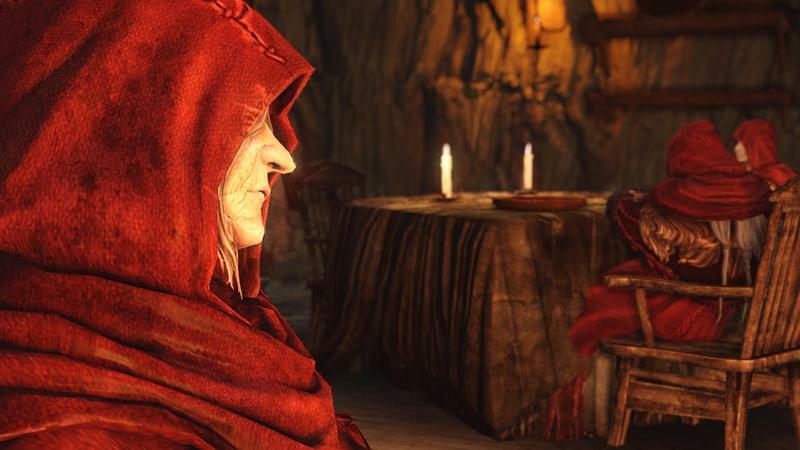 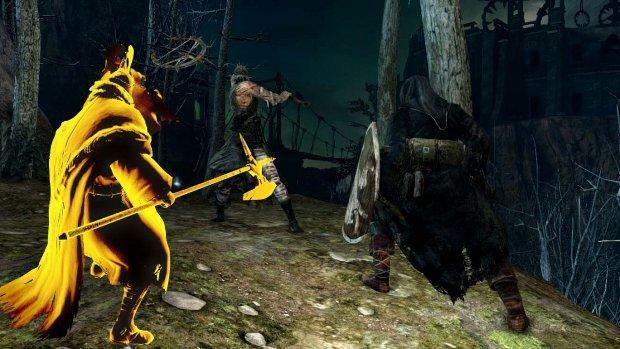 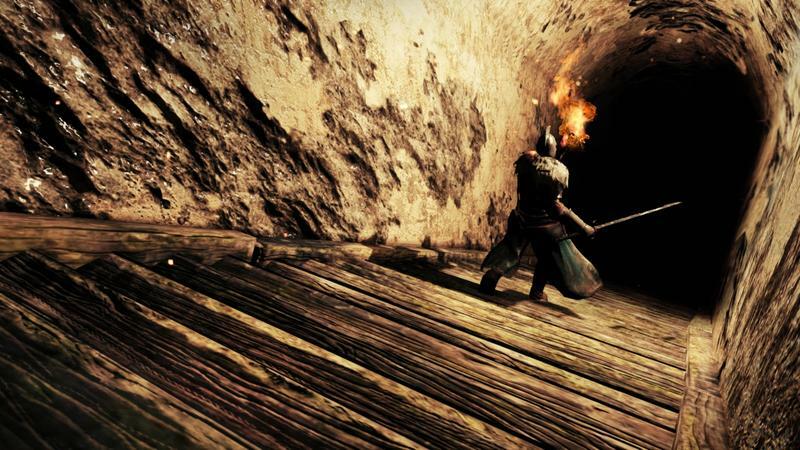 Dark Souls II isn’t straying to far from the formula and already has a line-up of the most ghastly beasts imaginable from bleeding mummies to ferocious dragons to rabid wolves and dark figures that defy all possible description. 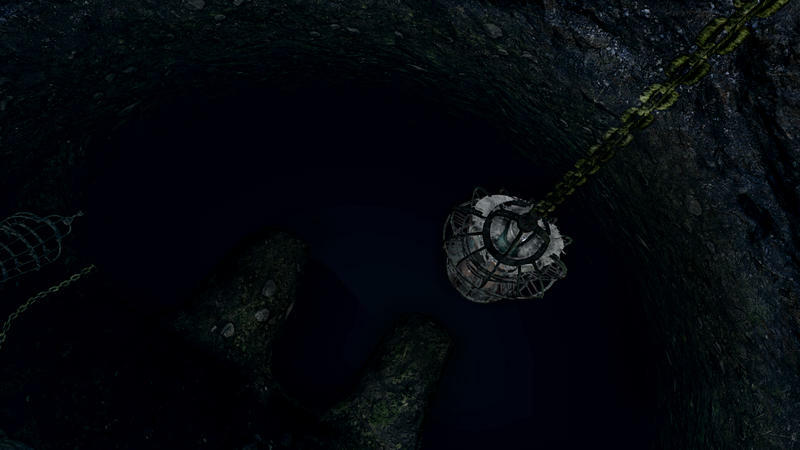 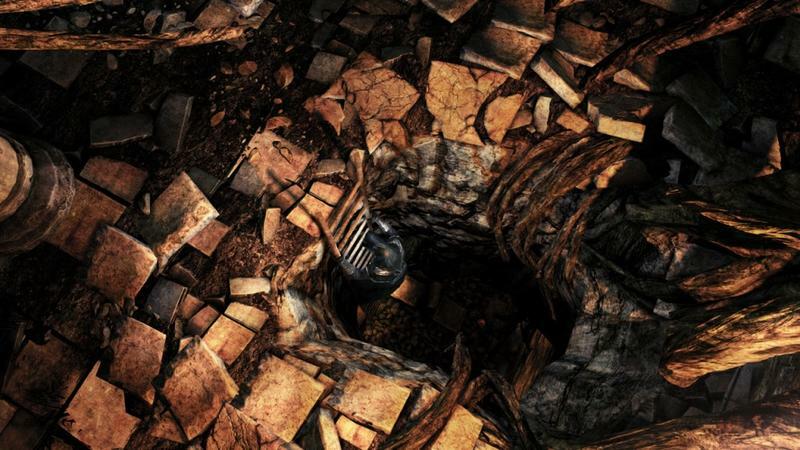 However, you really have to wonder what is the true horror behind these games, the monsters or you? 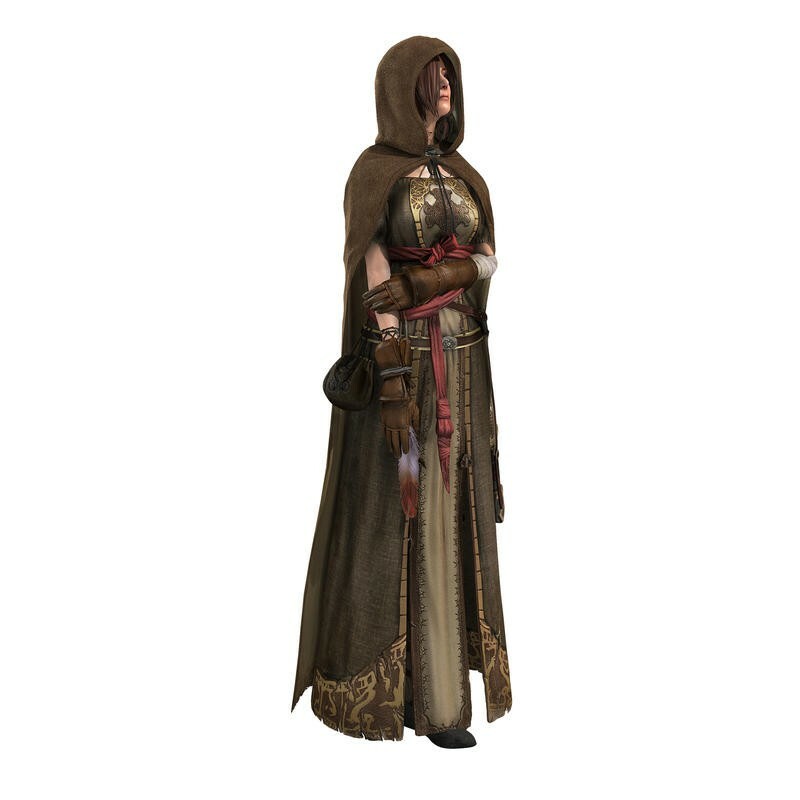 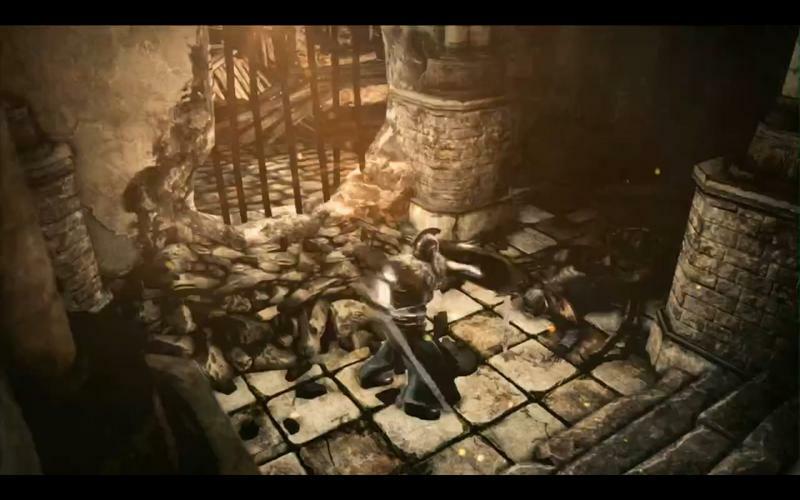 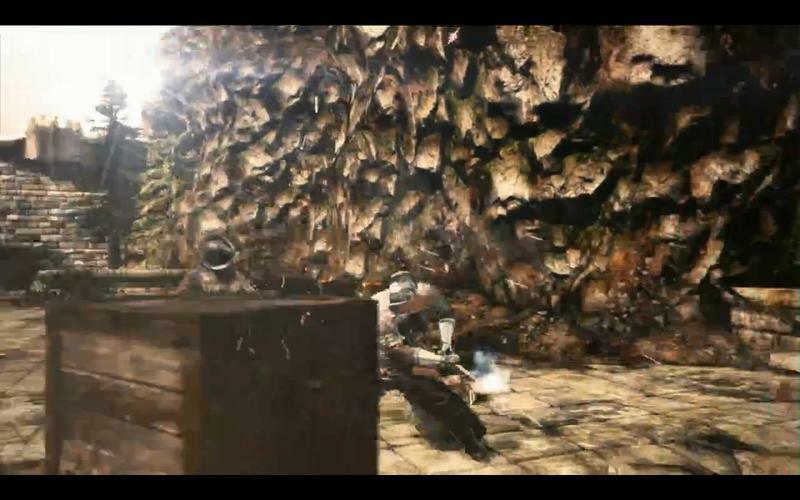 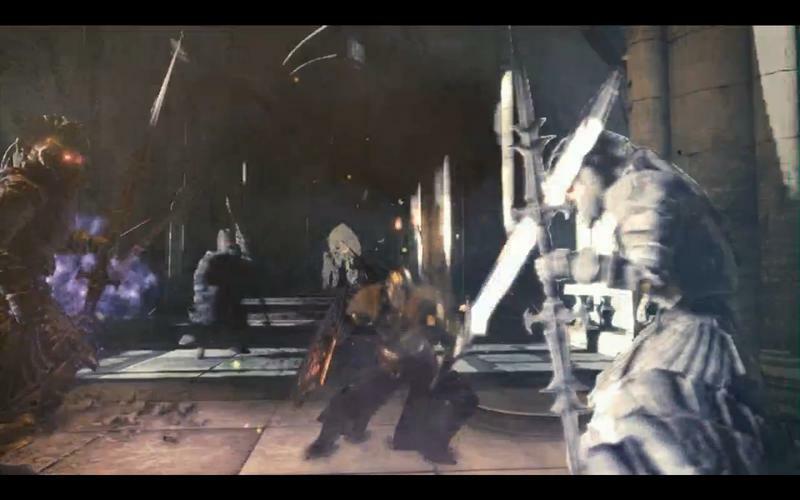 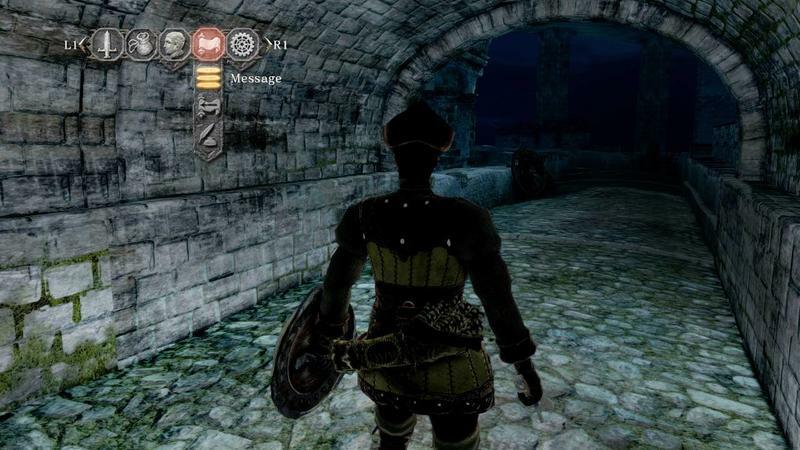 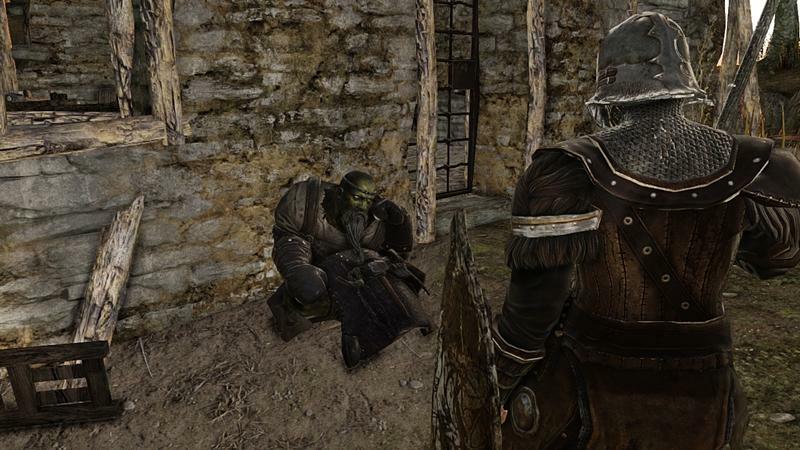 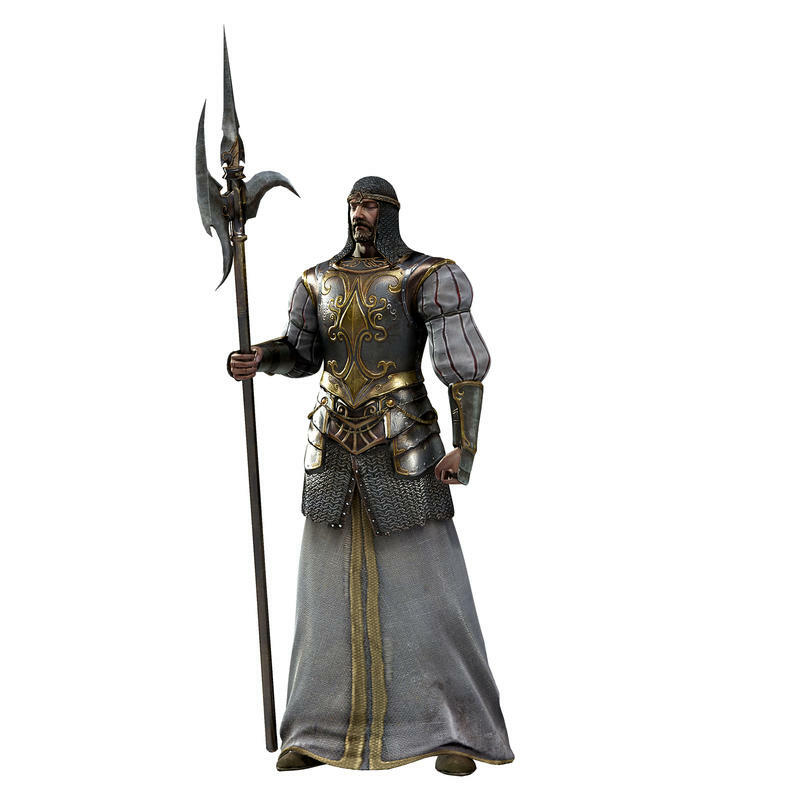 The playable NPCs come packed with enough armor and weapons to create some pretty freaky getups in their own right. 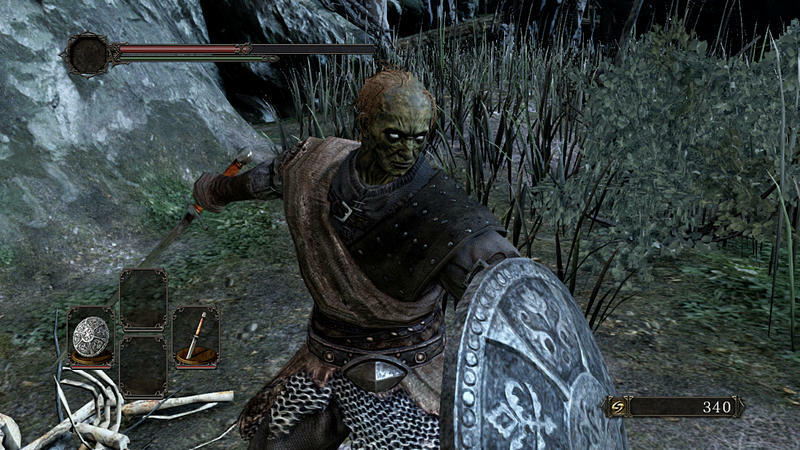 No eyes, no skin, not even a shred of humanity exists in any one of these screenshots. 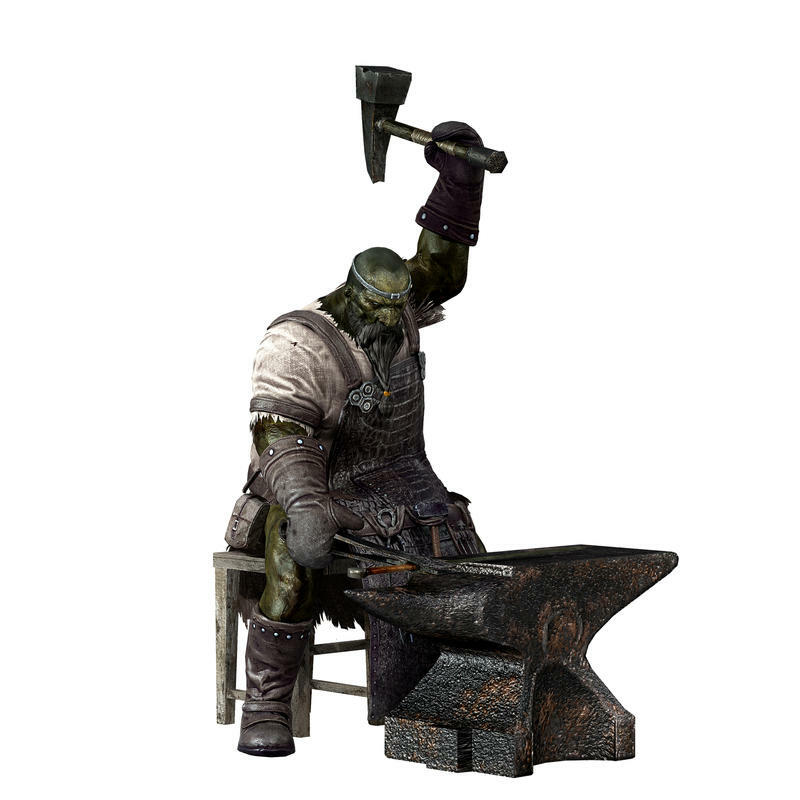 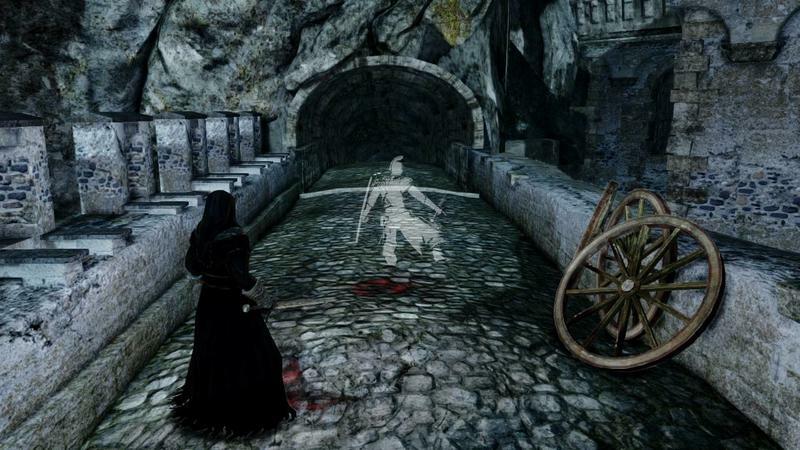 What’s to say that your nameless avatar is any different from the other faceless undead beings he slaughters in his path? 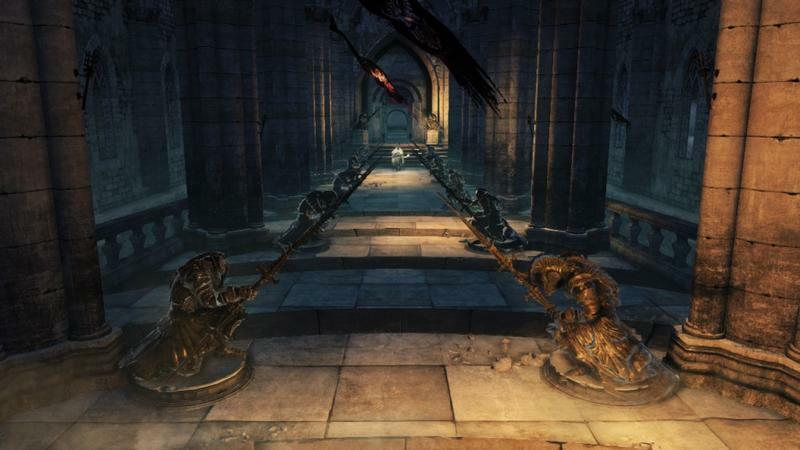 Don’t forget that the game is also a multiplayer experience in a very liberal sense. 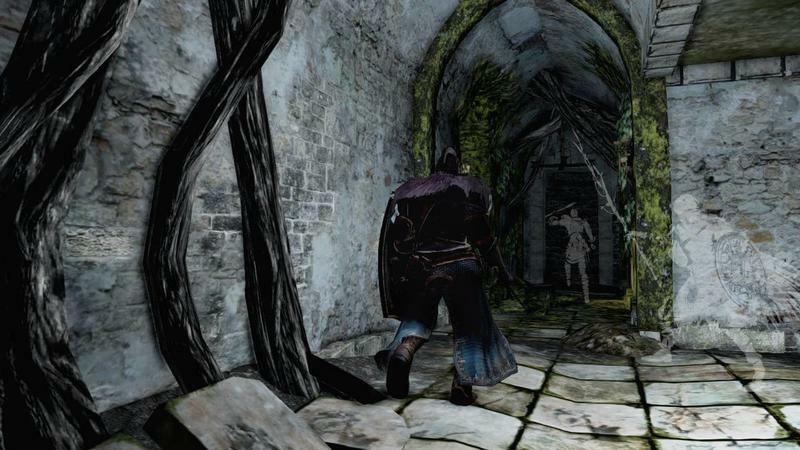 Characters will jump in and out of your game without notice, sometimes by invitation to help take down a tough boss, and sometimes just as a ghastly pale shadow just passing through on business. 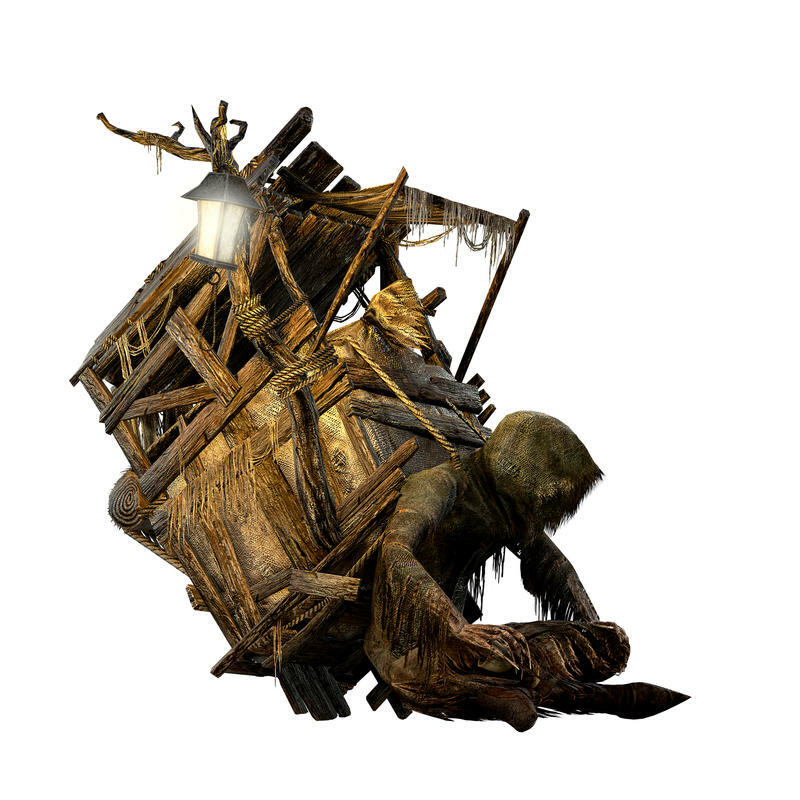 At the worst of times, these marauders will welcome themselves right in without invitation and murder you where you stand. 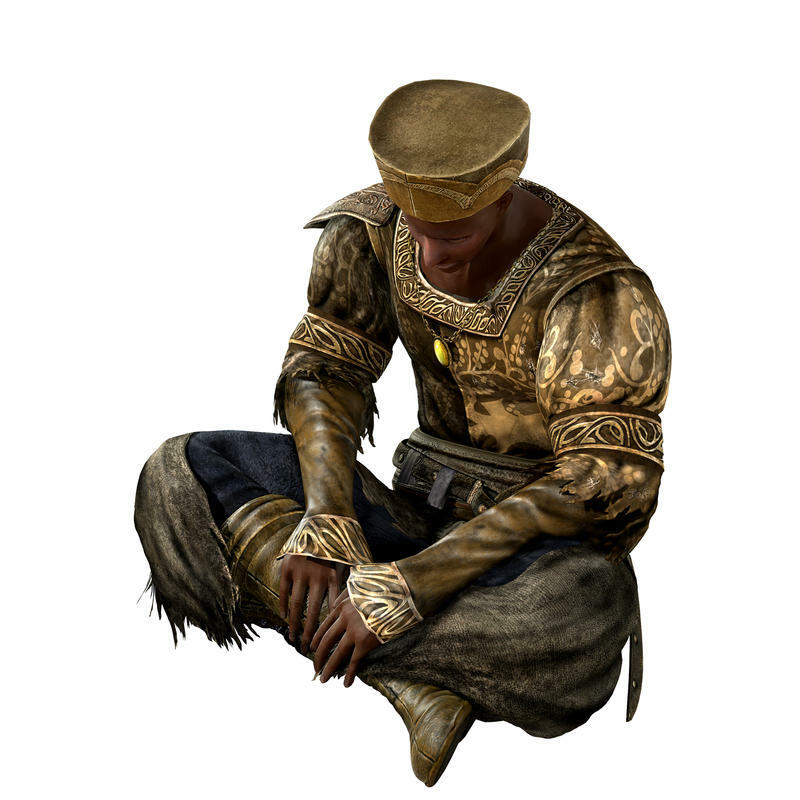 The different shades which highlight some characters color code their purpose in your world. 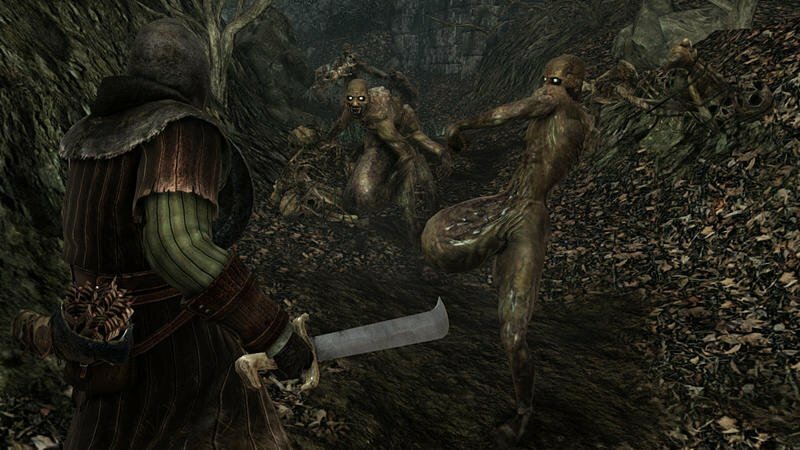 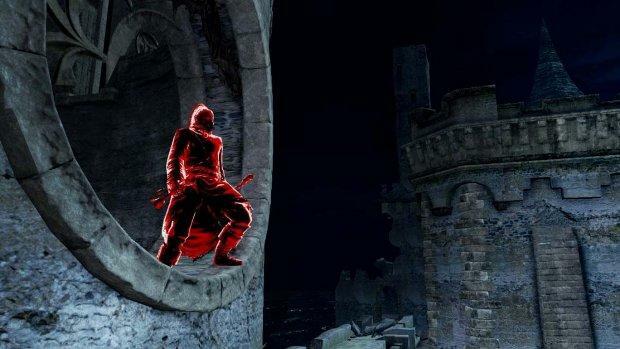 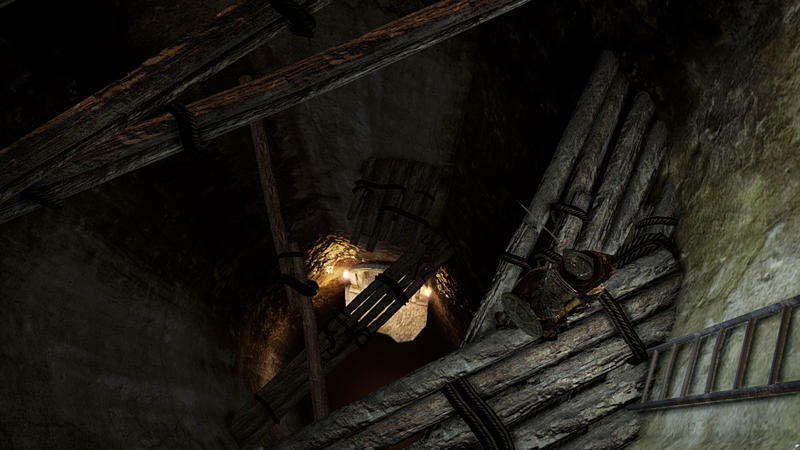 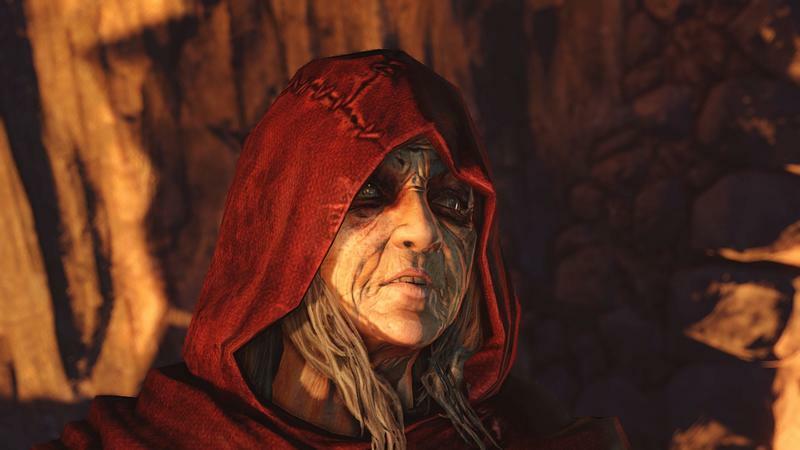 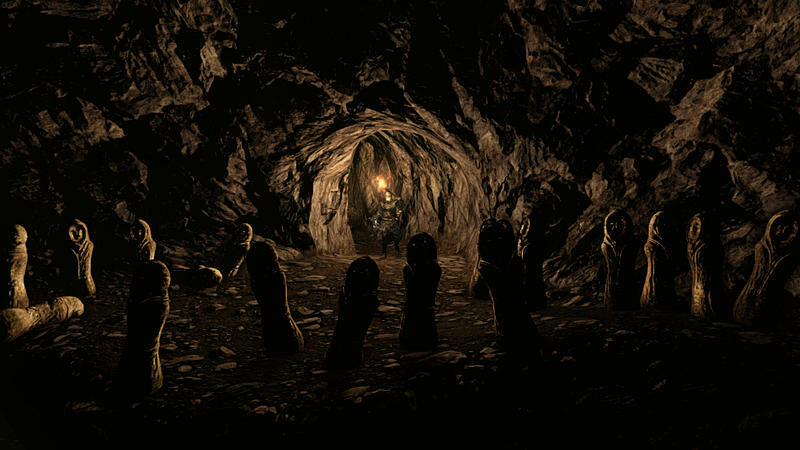 Some are worried about whether or not Dark Souls II will follow-up on the nightmarish difficulty from the previous games under a new director, but I don’t think it’ll be a problem. 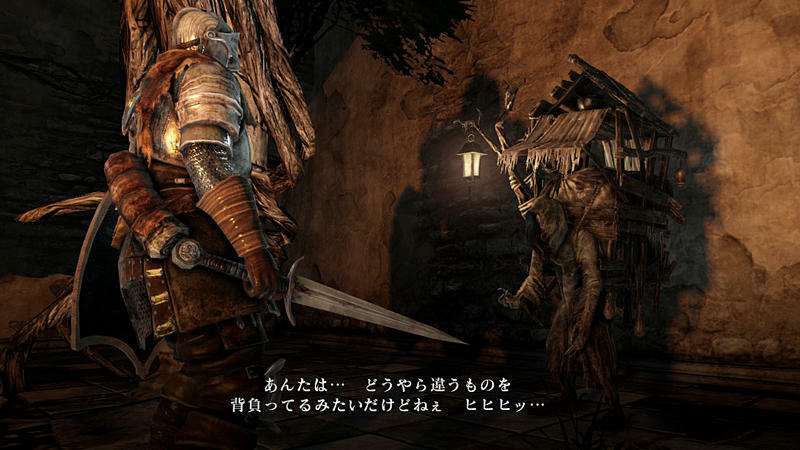 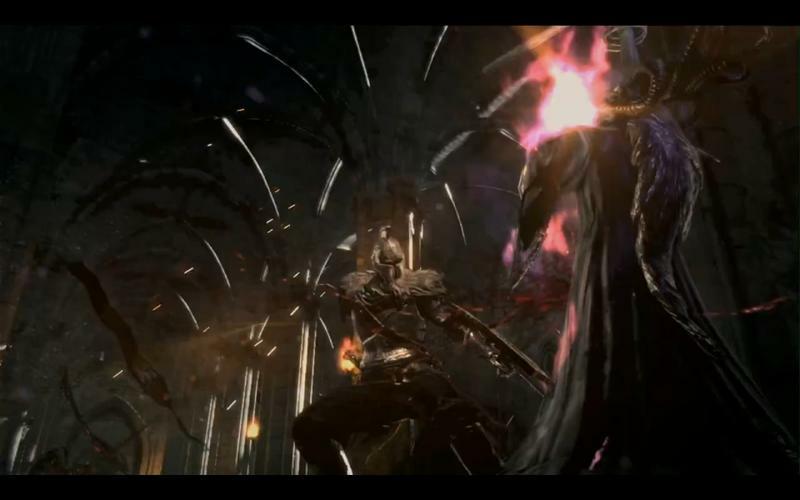 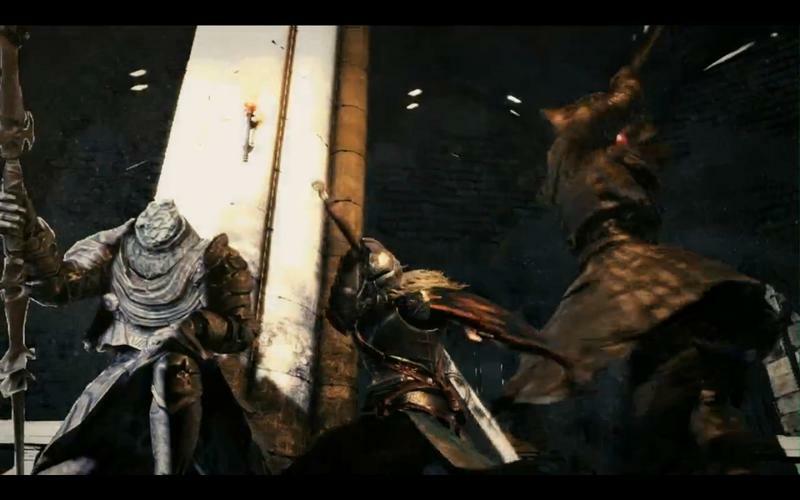 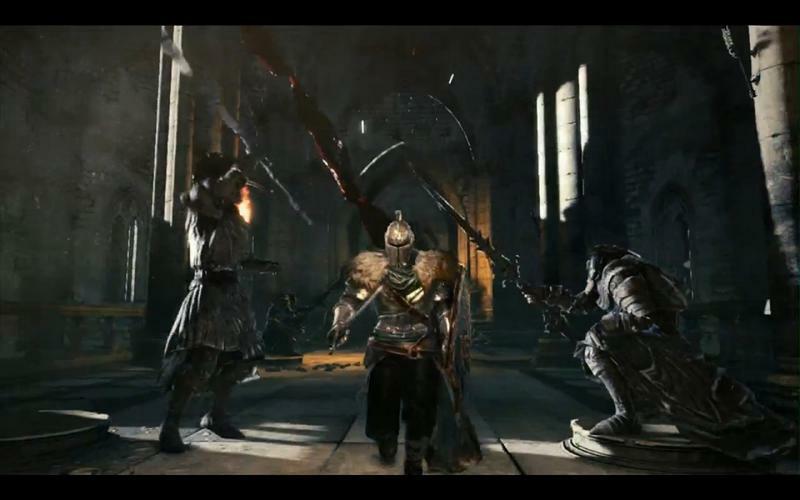 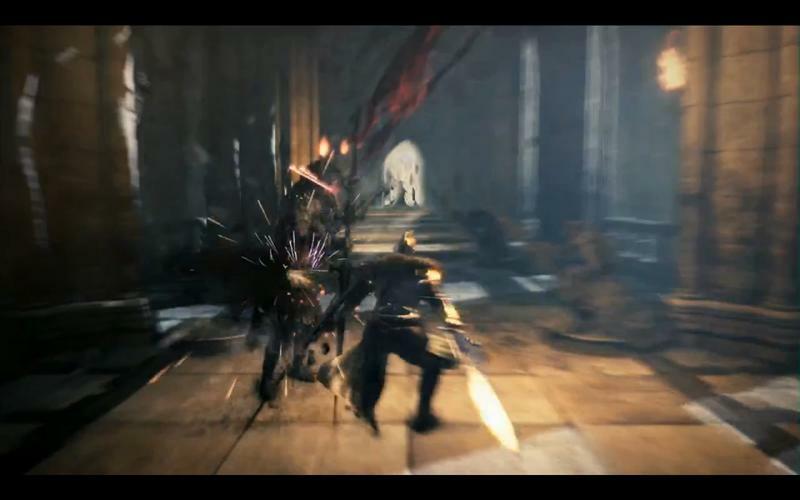 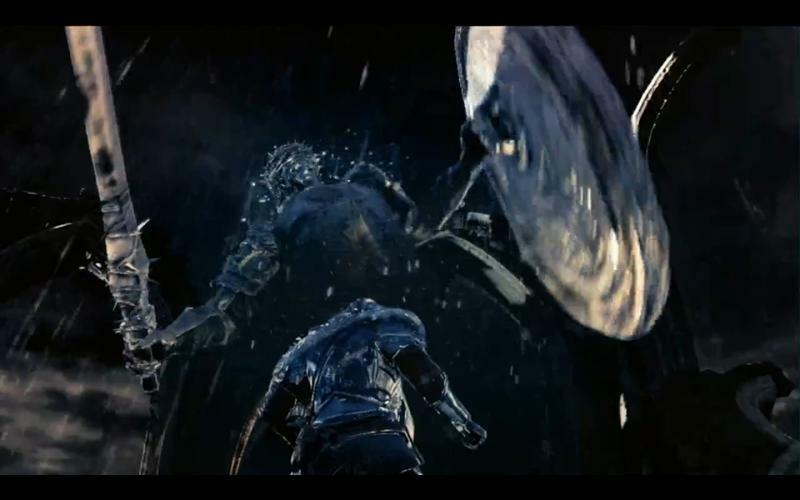 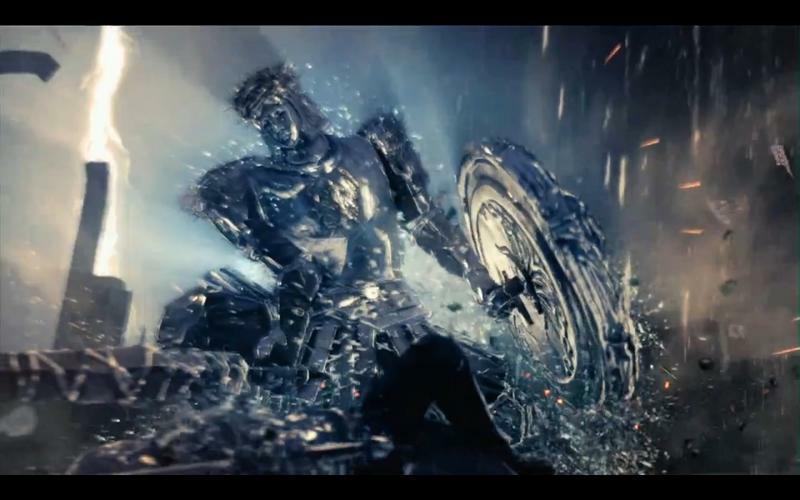 The little I played at TGS 2013 showed that no radical changes have been made, and FromSoftware is just as ready to bring the pain as ever. 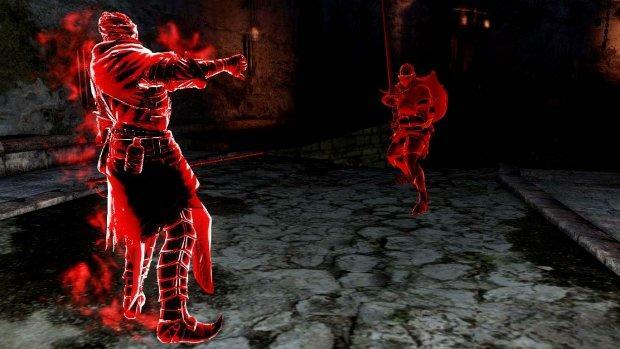 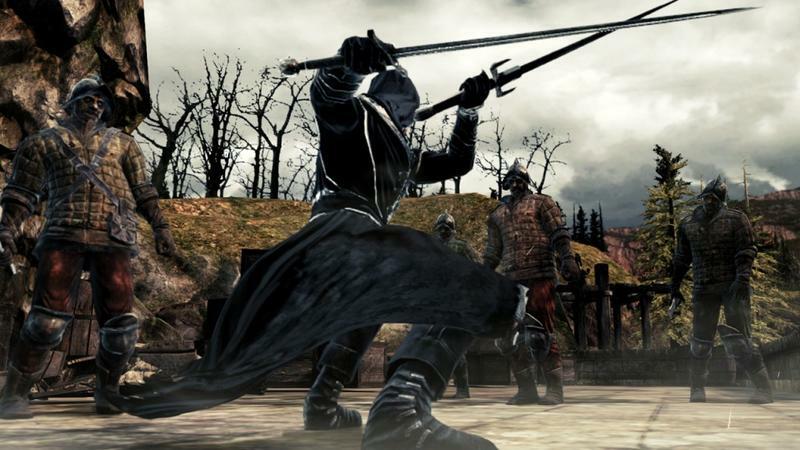 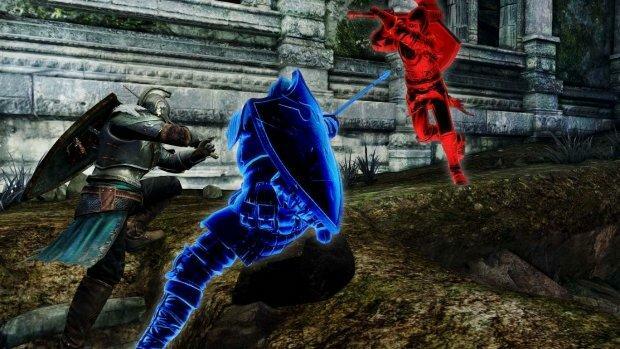 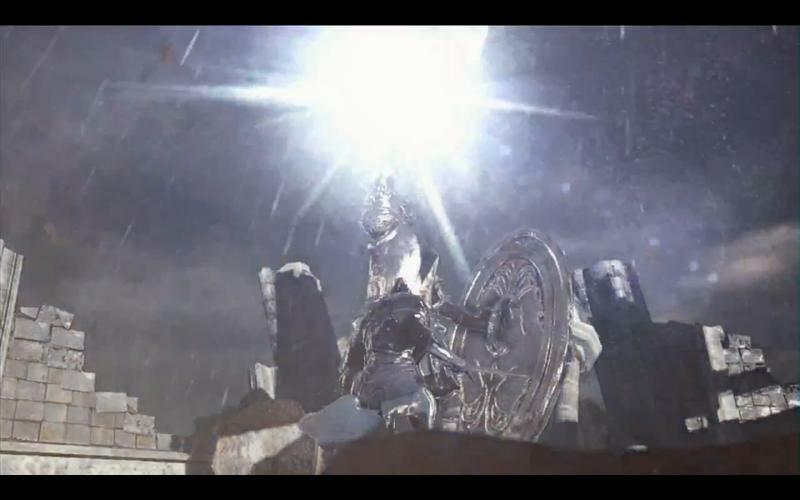 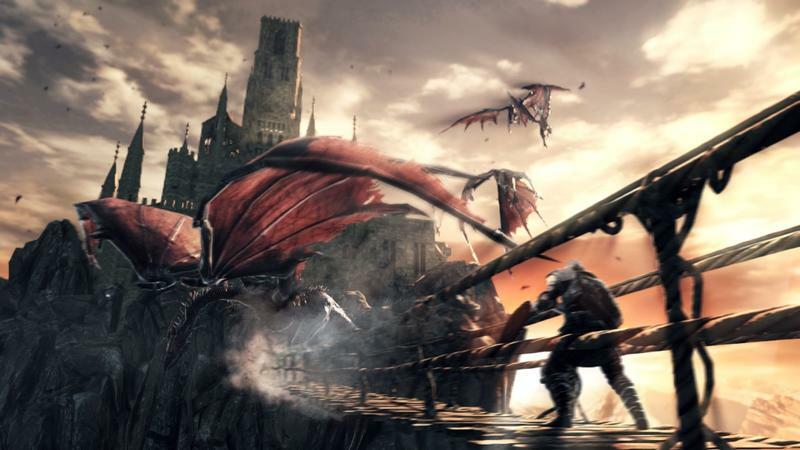 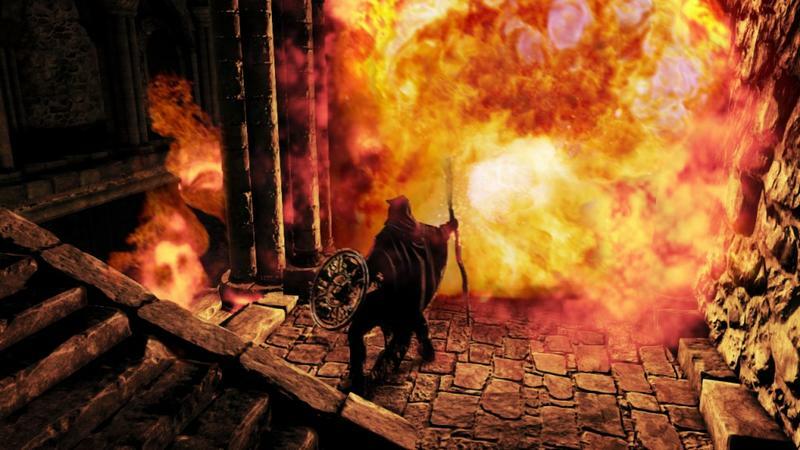 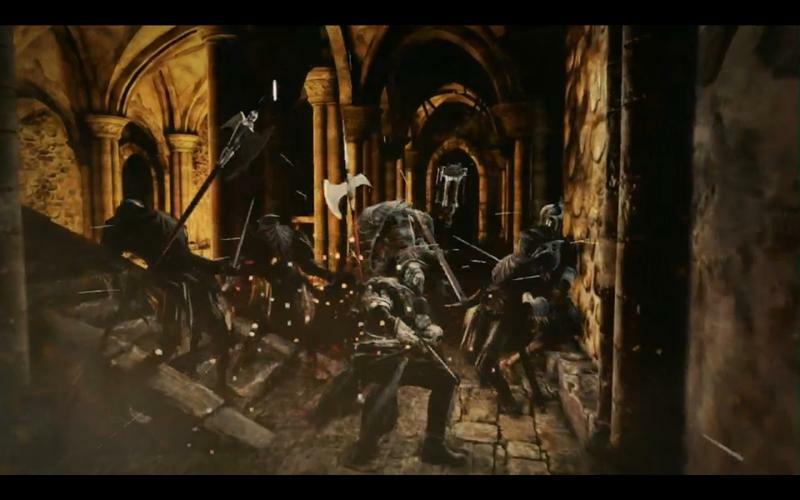 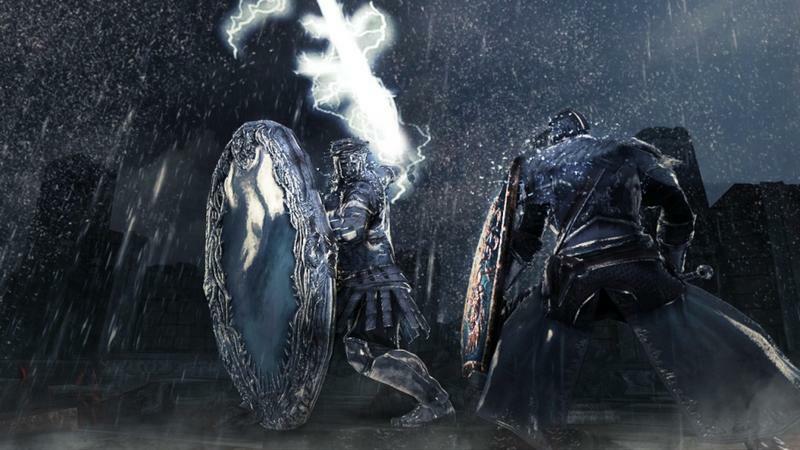 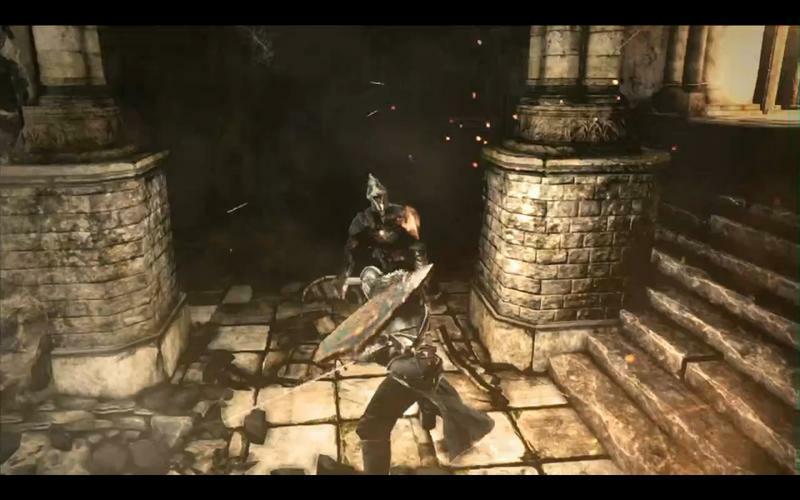 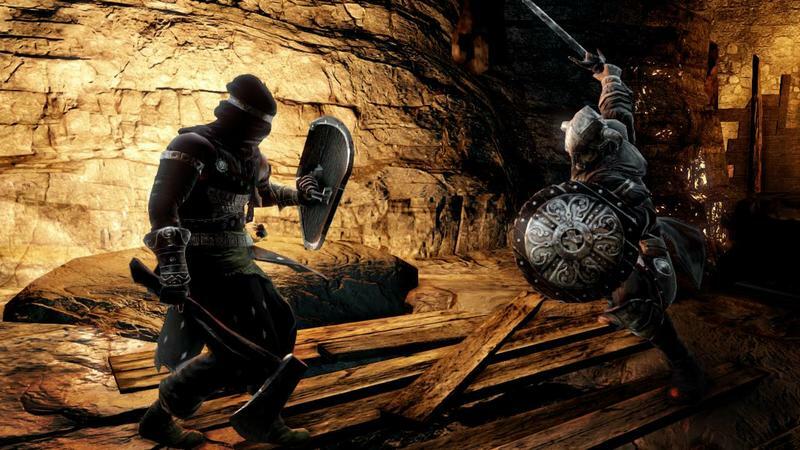 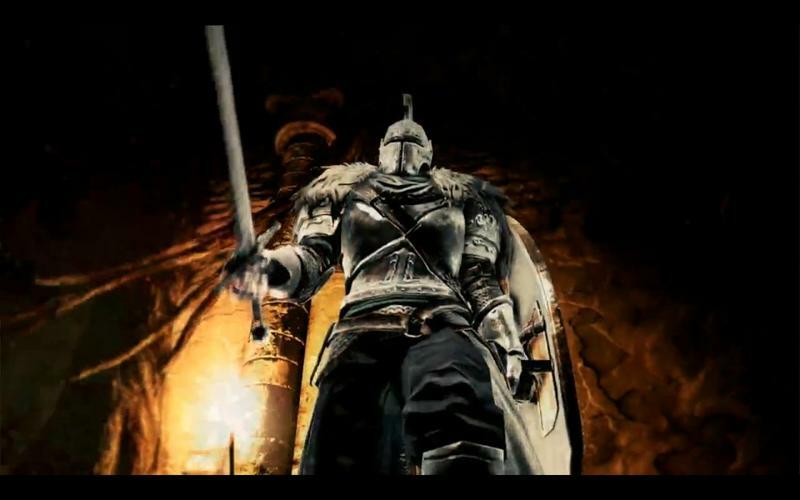 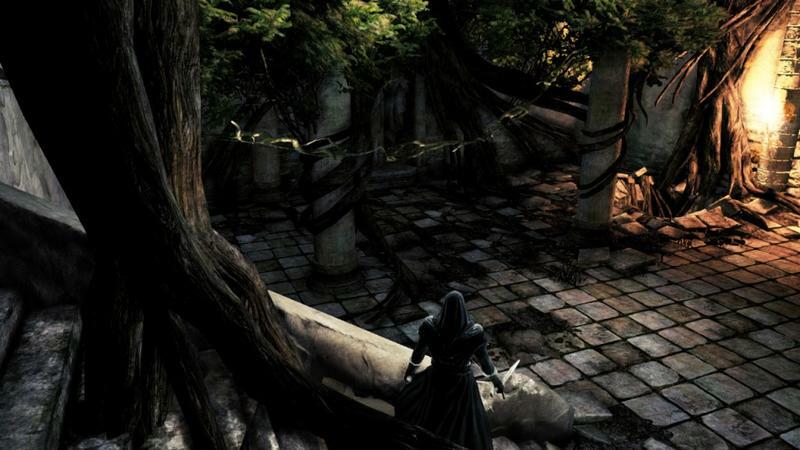 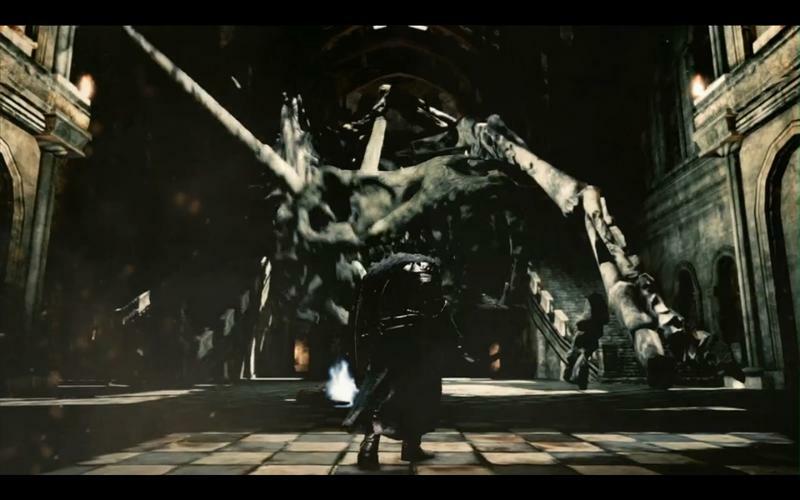 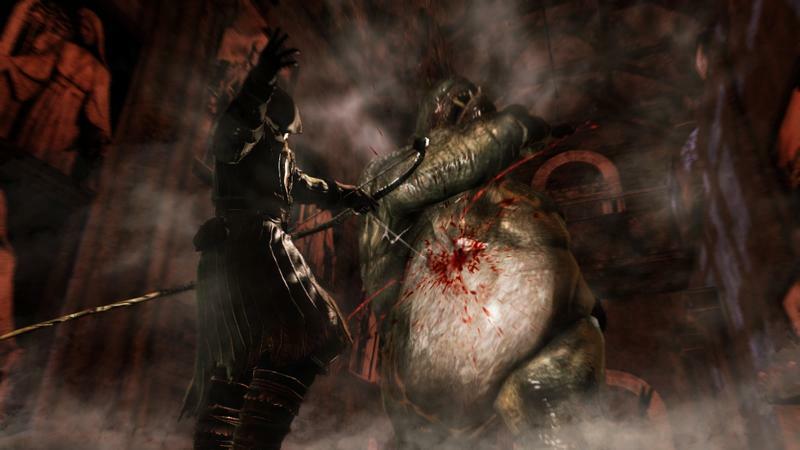 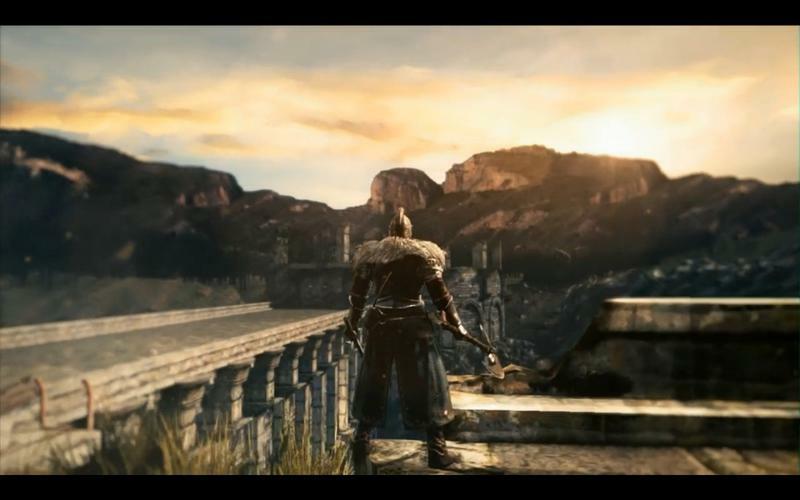 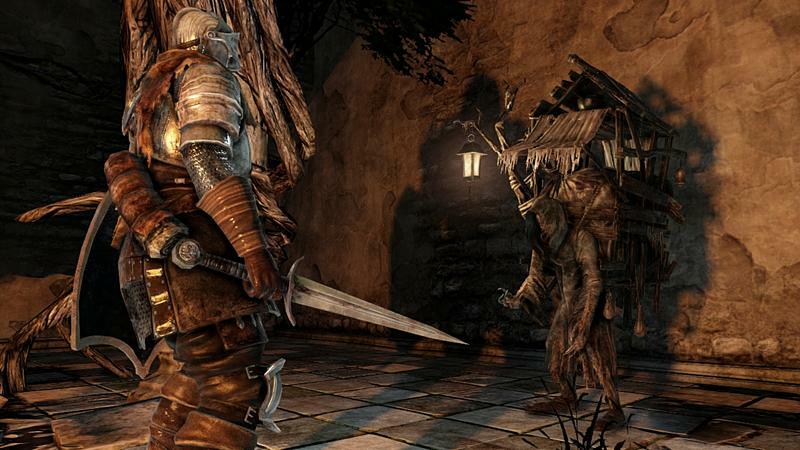 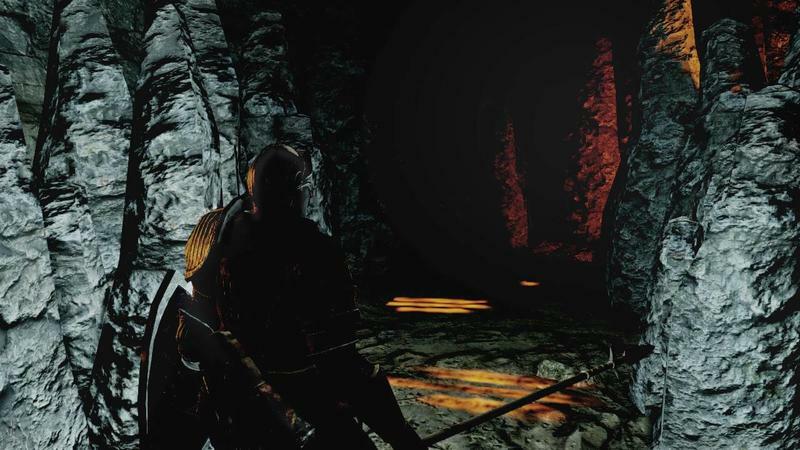 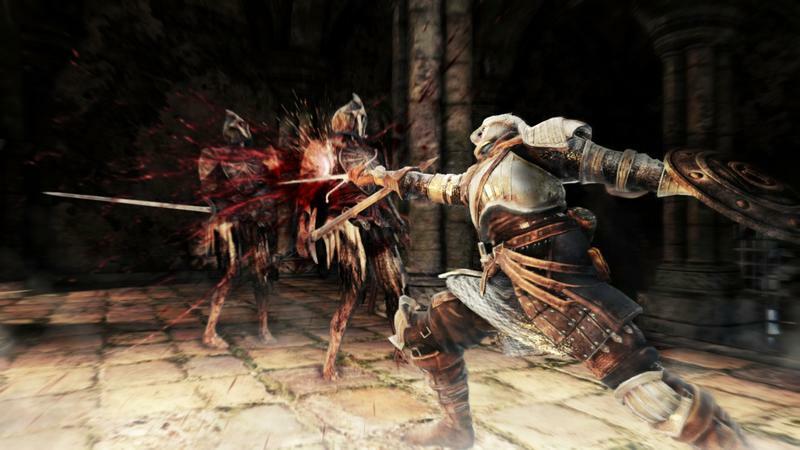 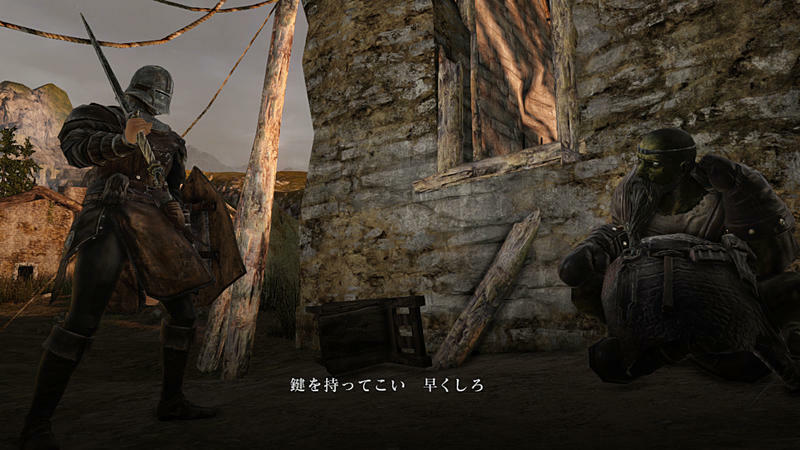 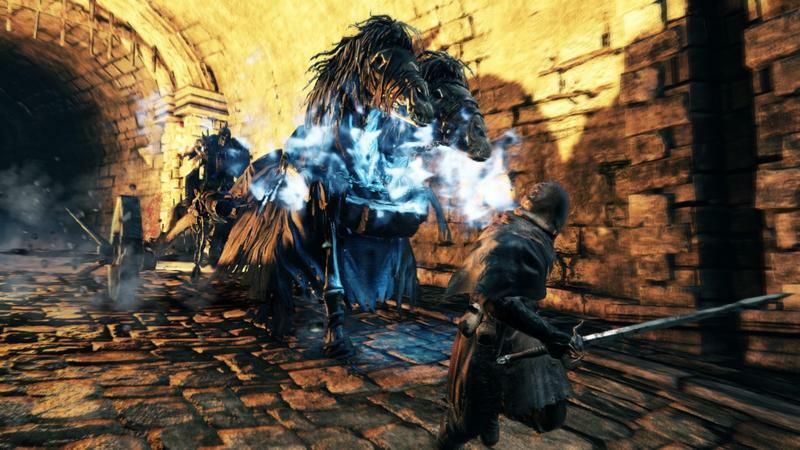 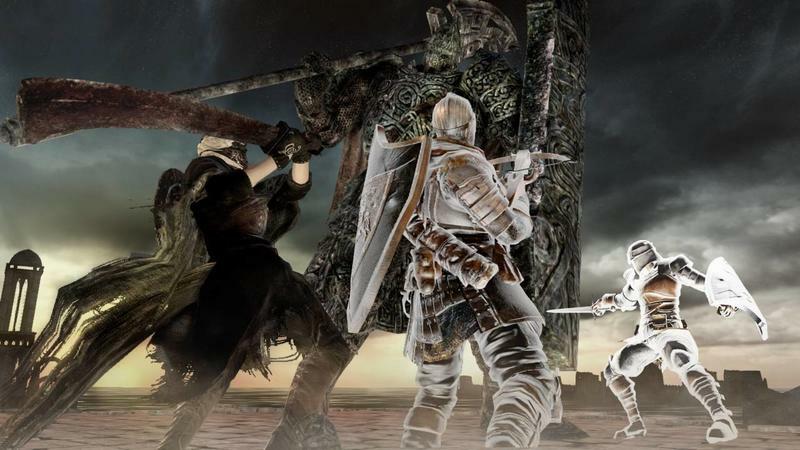 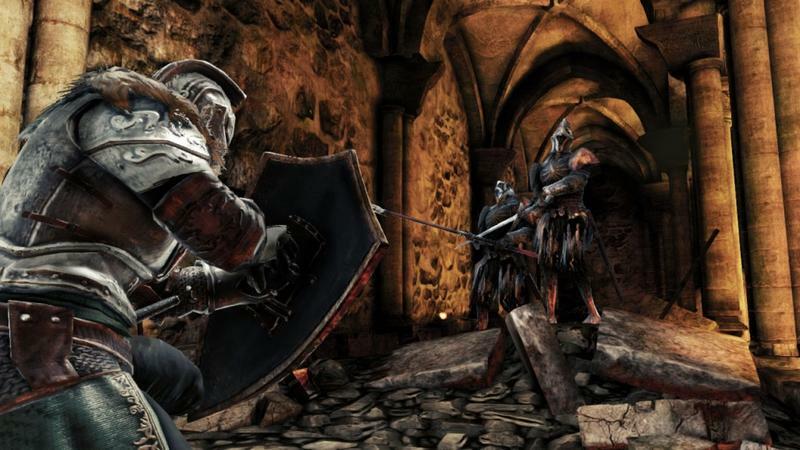 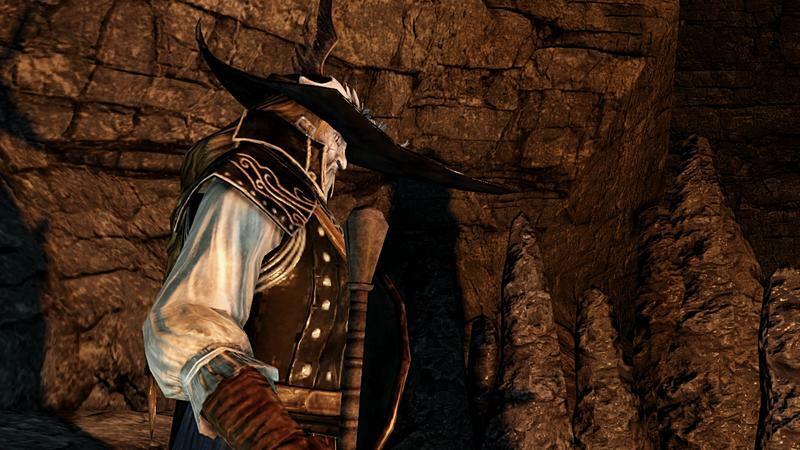 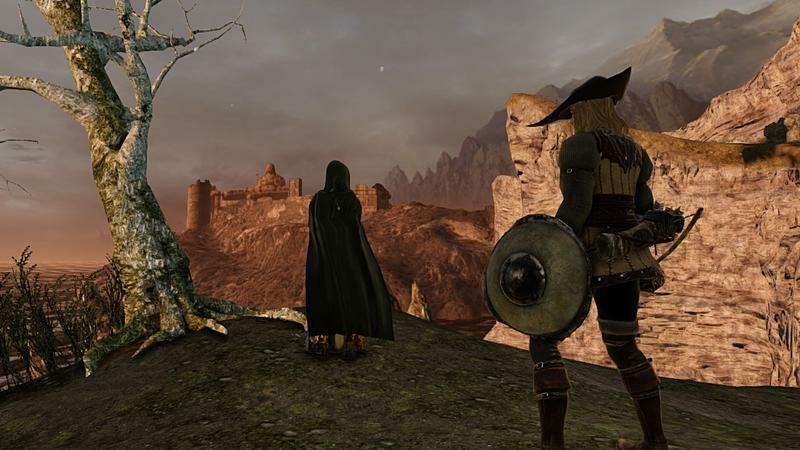 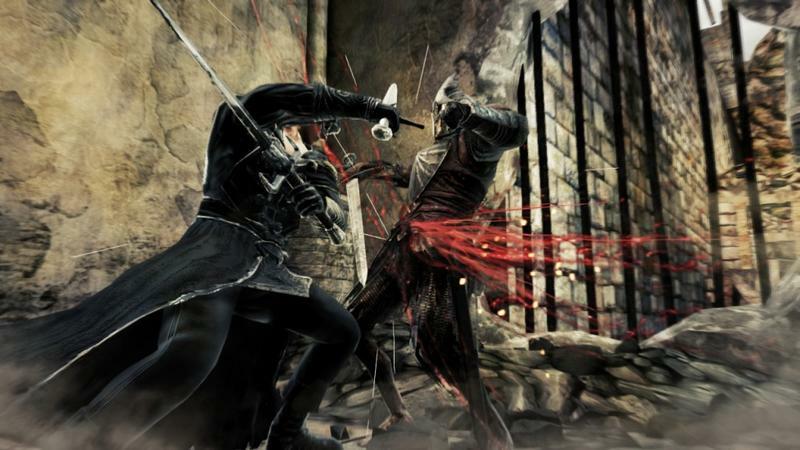 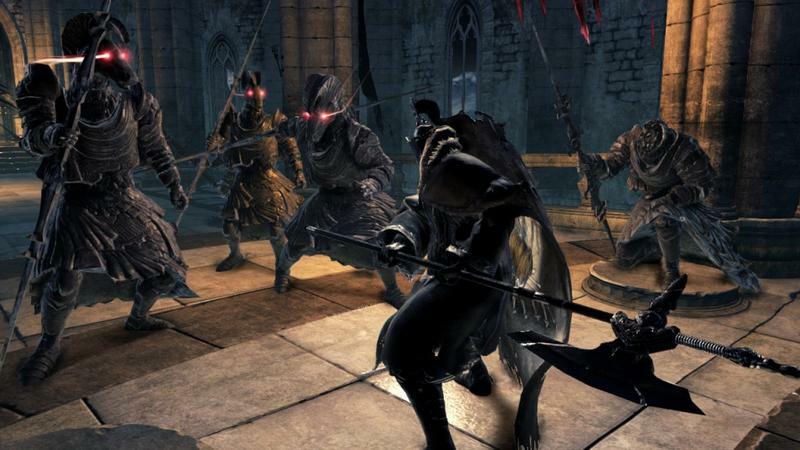 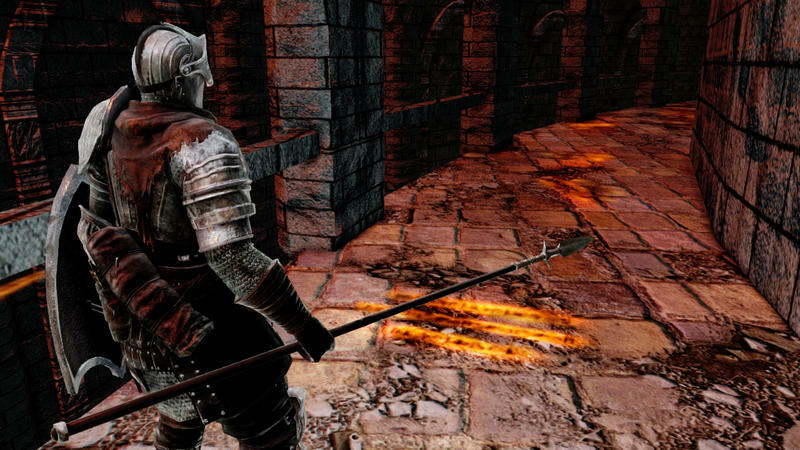 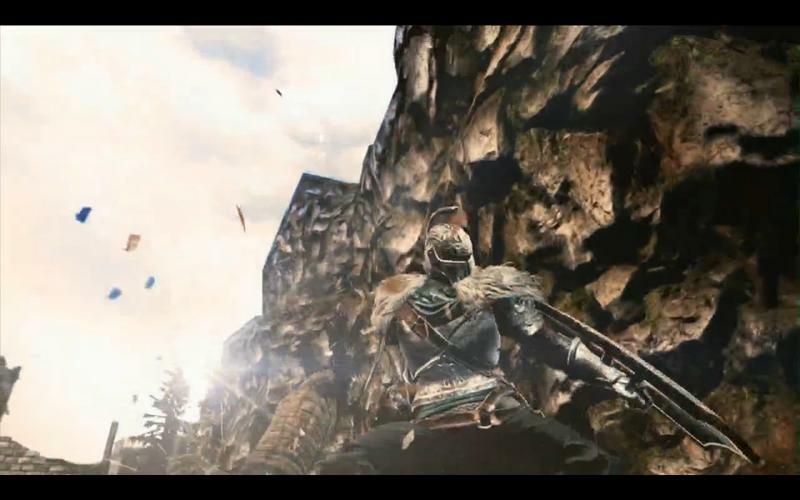 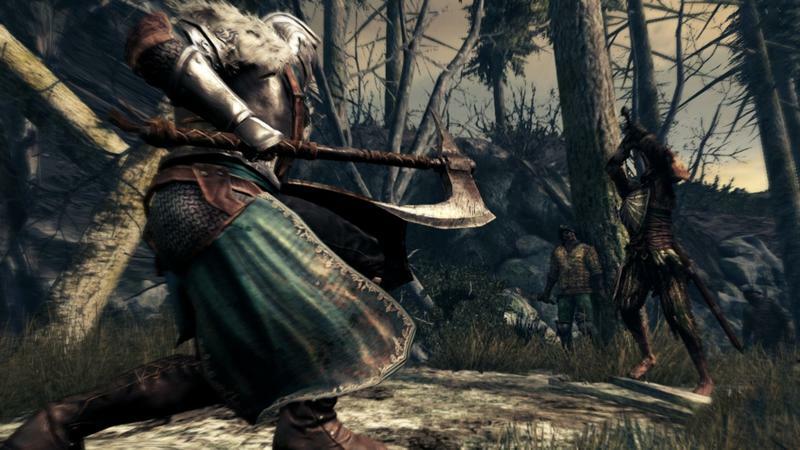 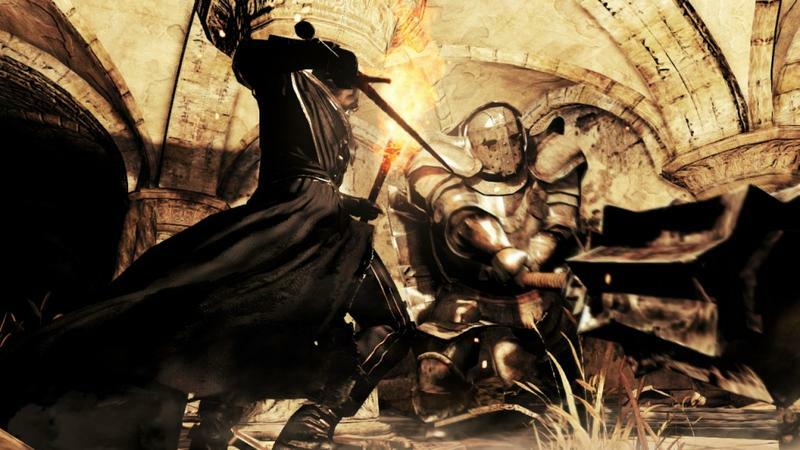 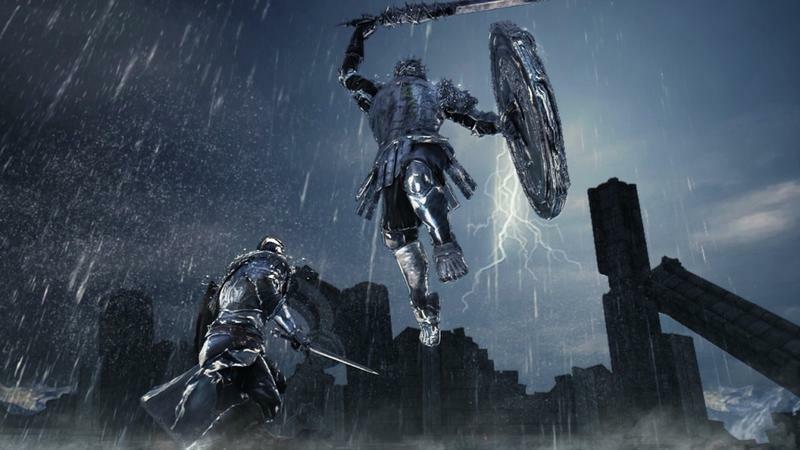 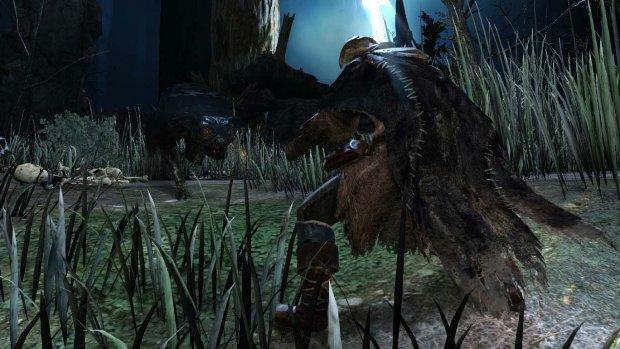 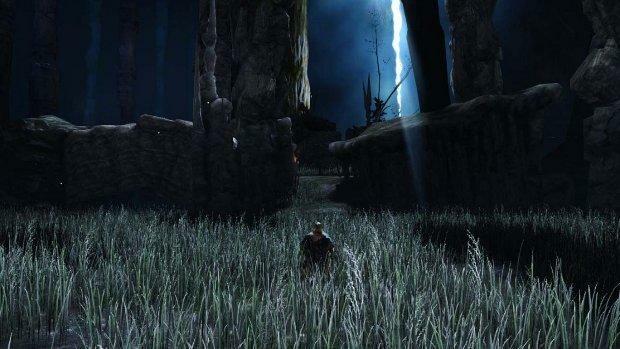 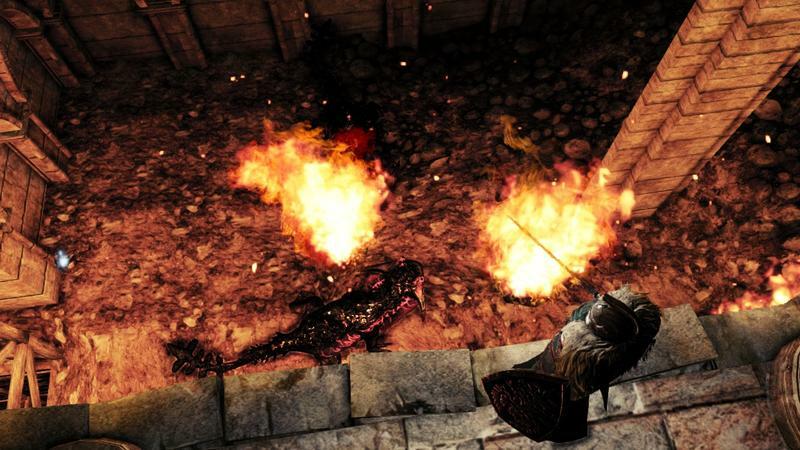 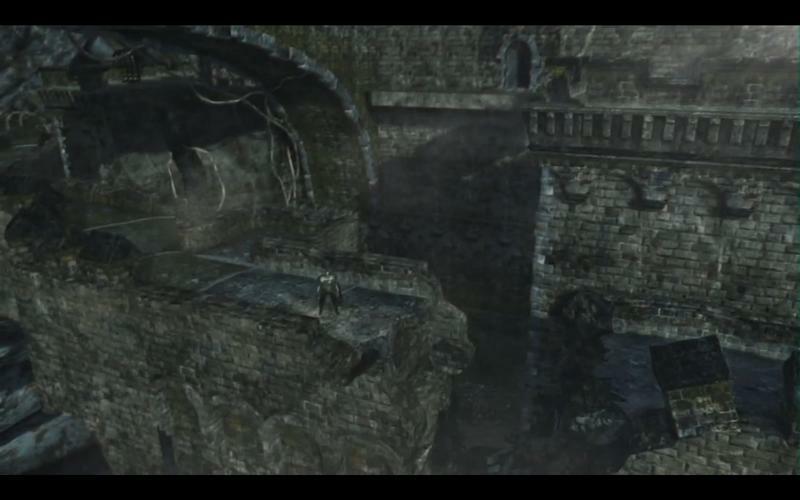 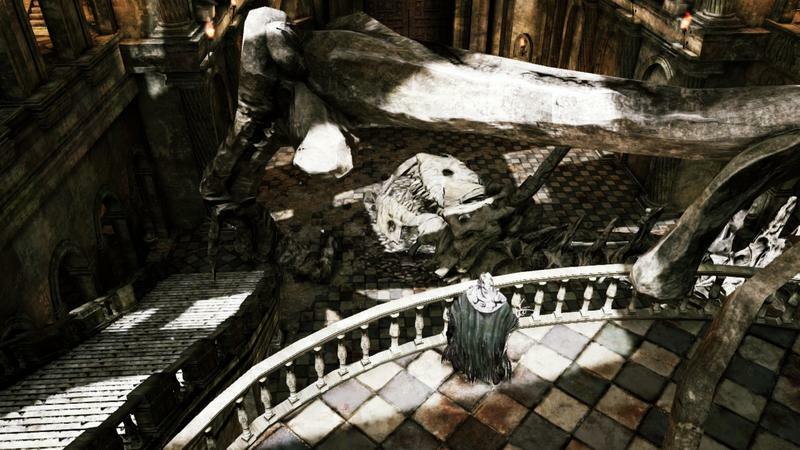 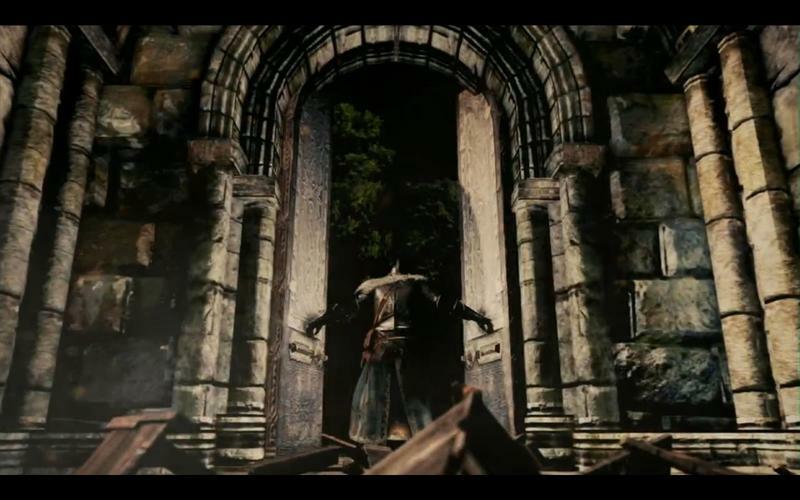 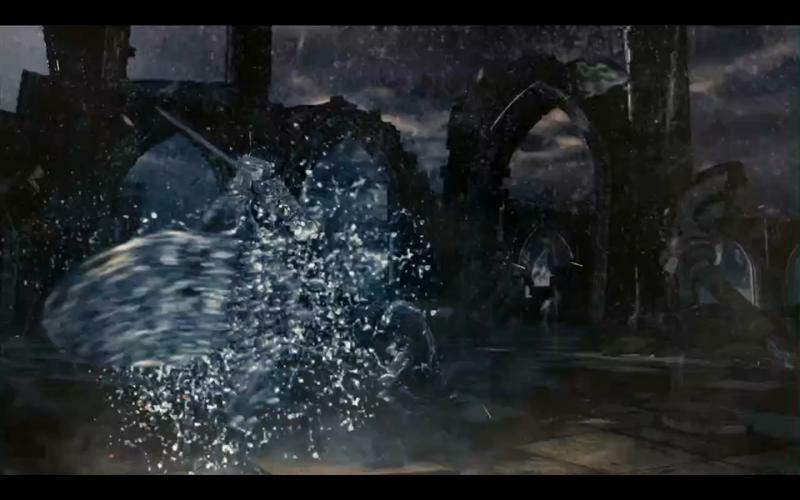 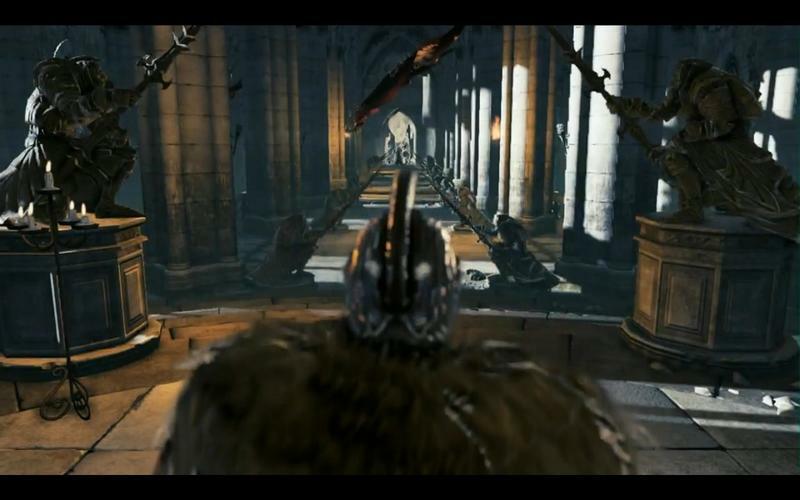 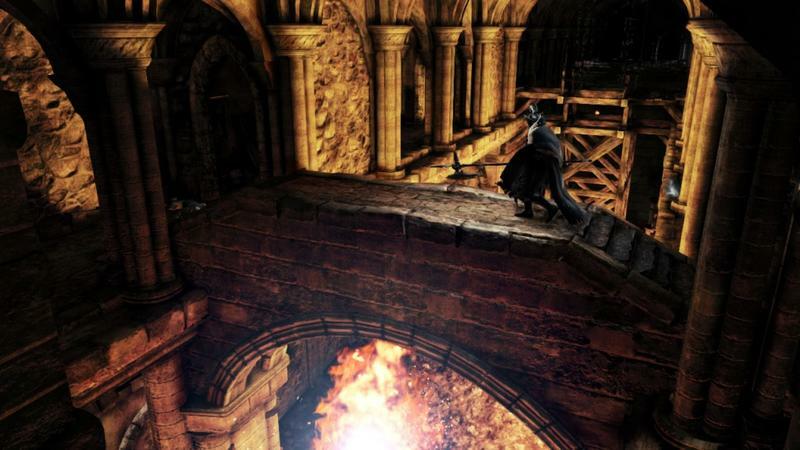 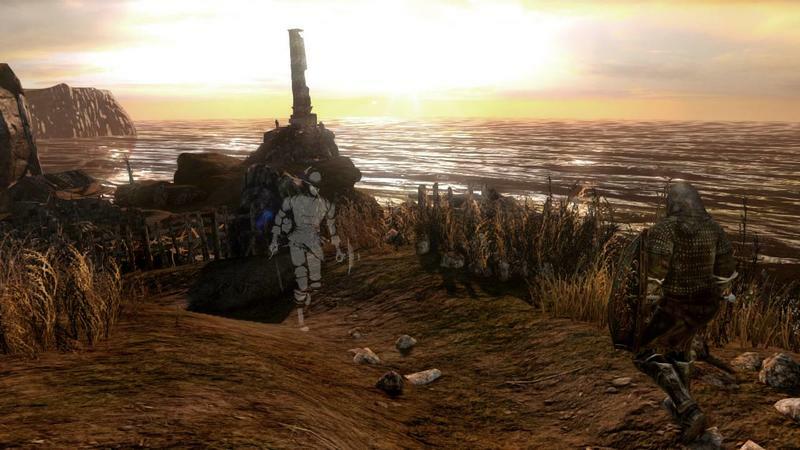 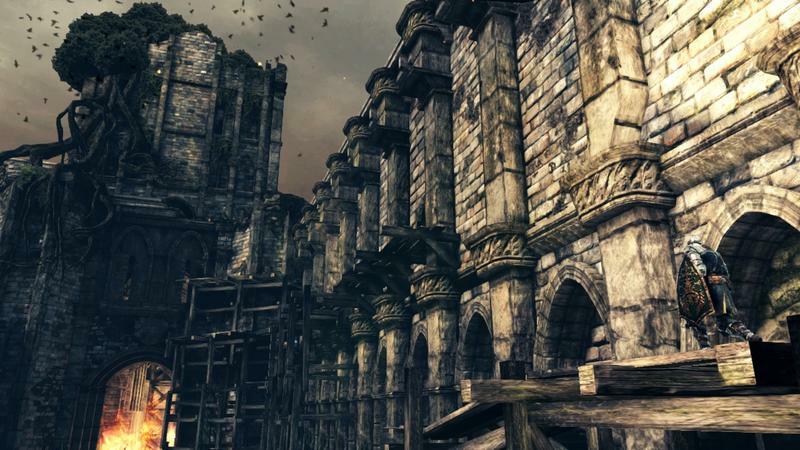 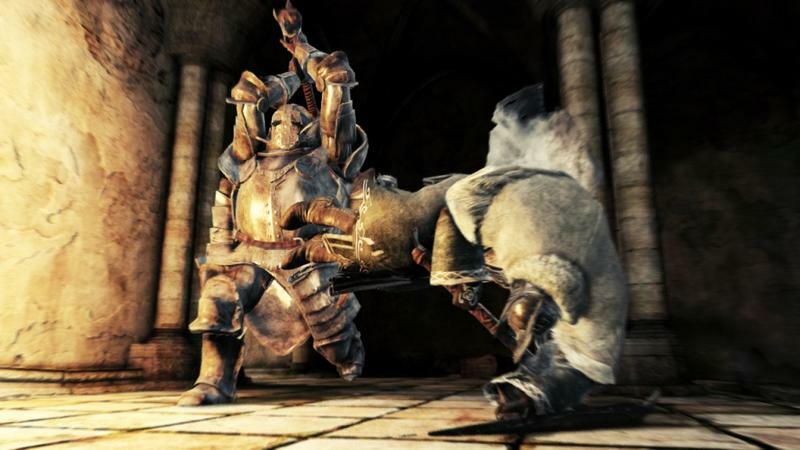 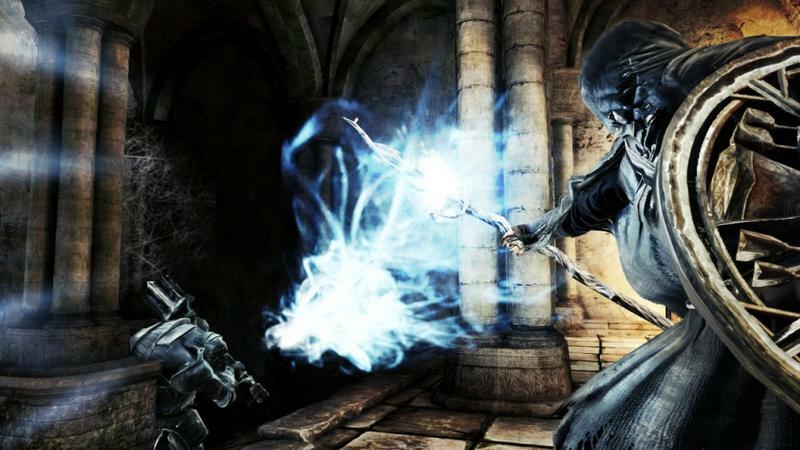 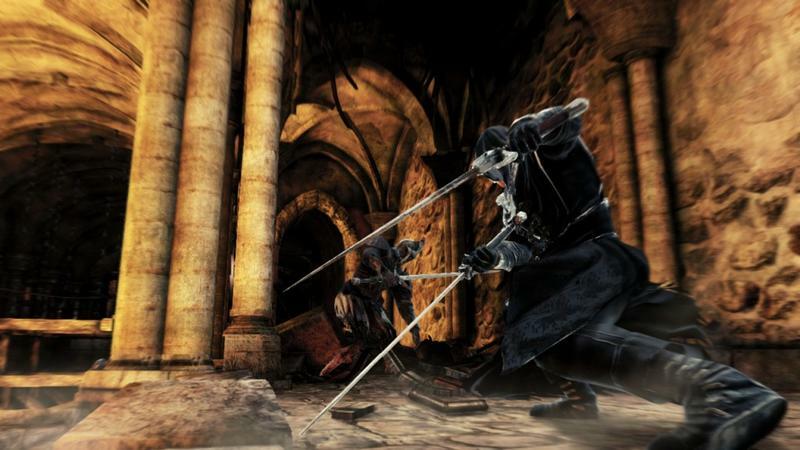 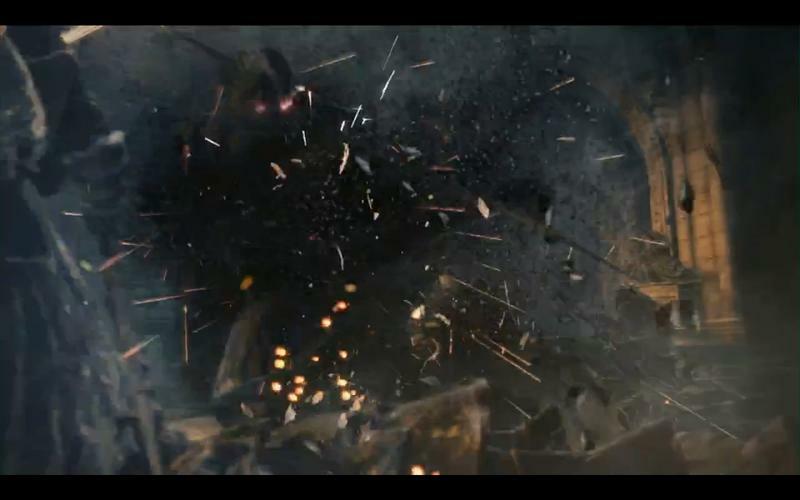 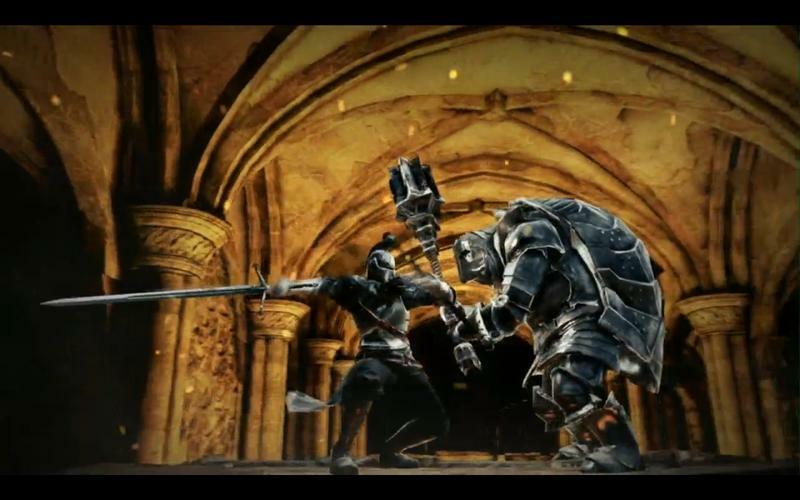 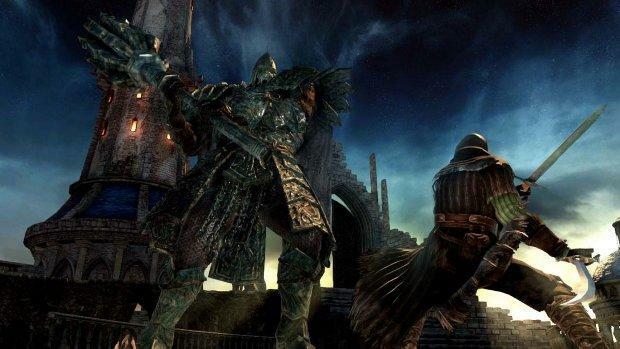 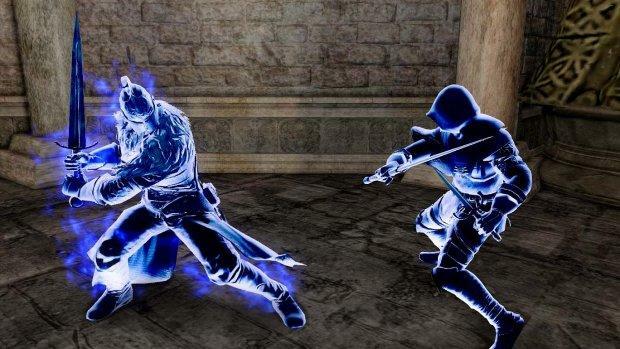 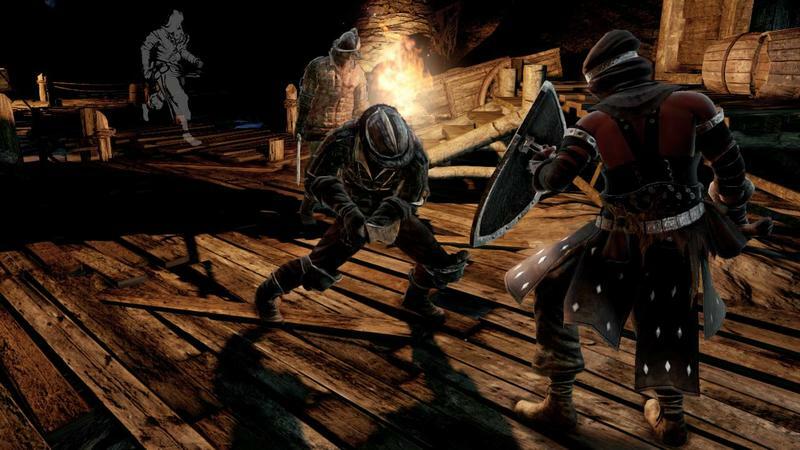 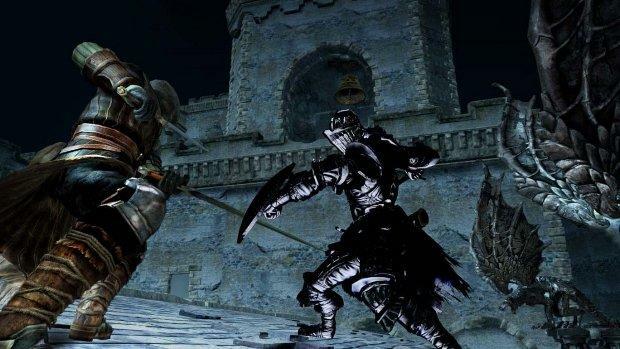 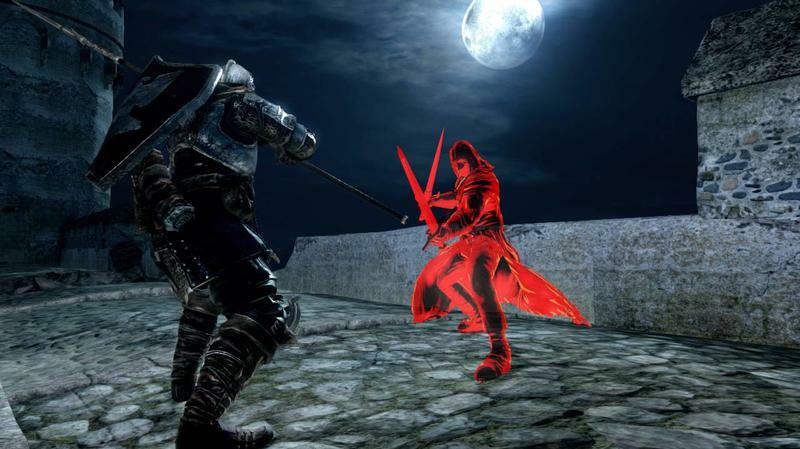 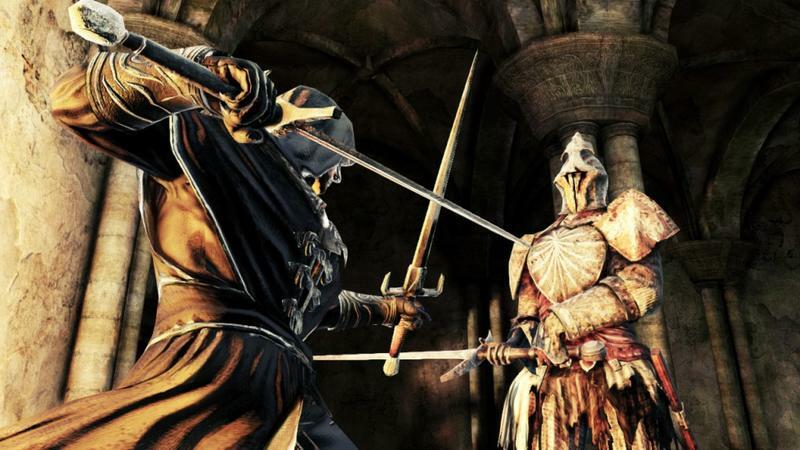 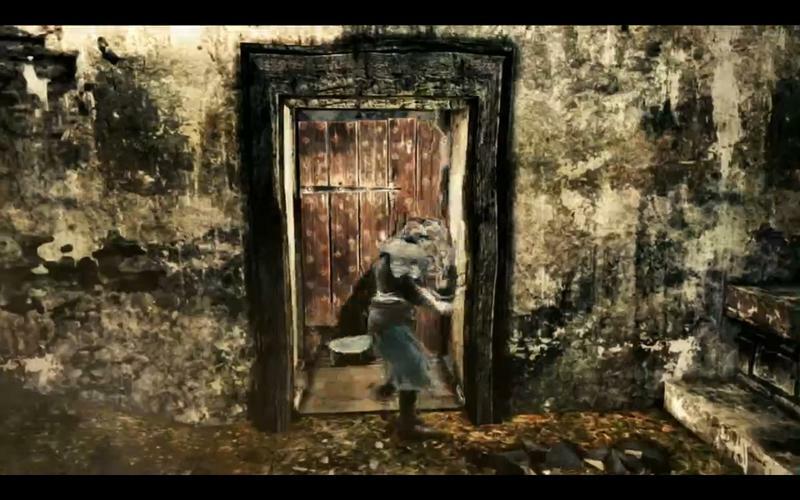 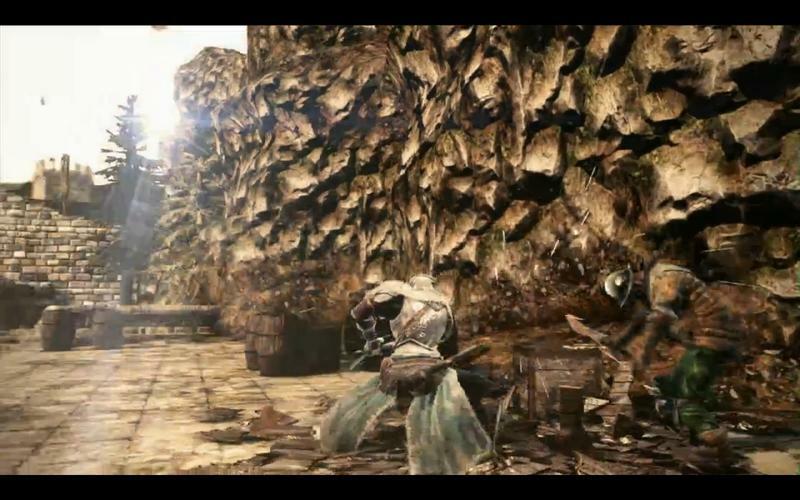 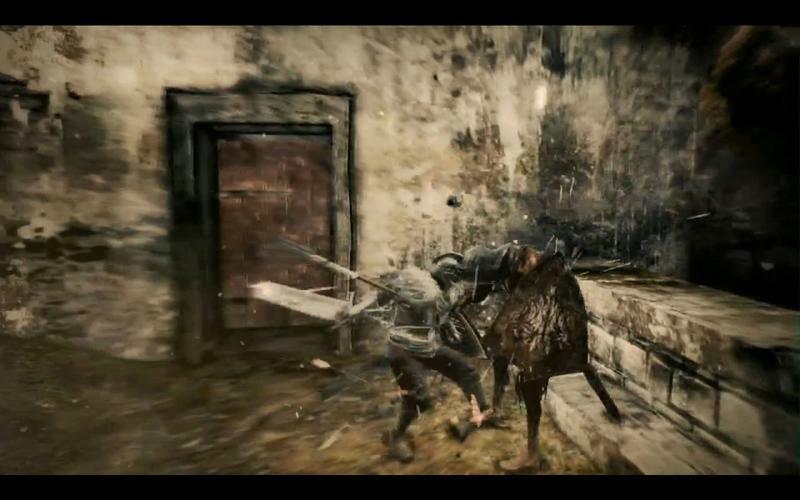 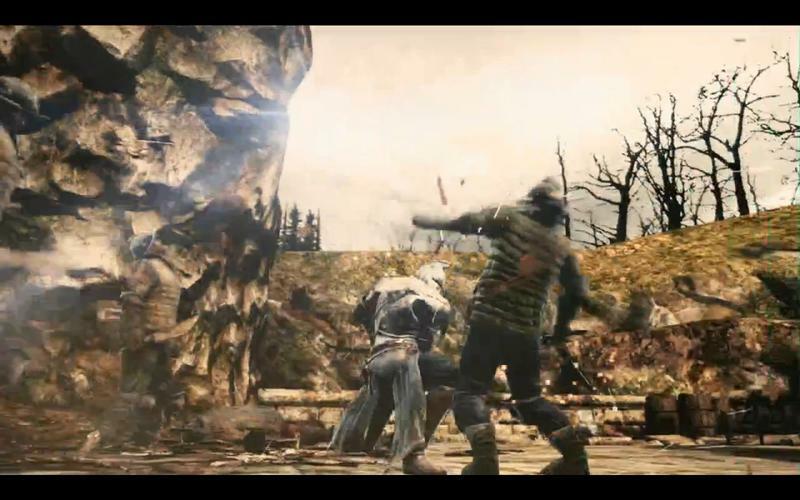 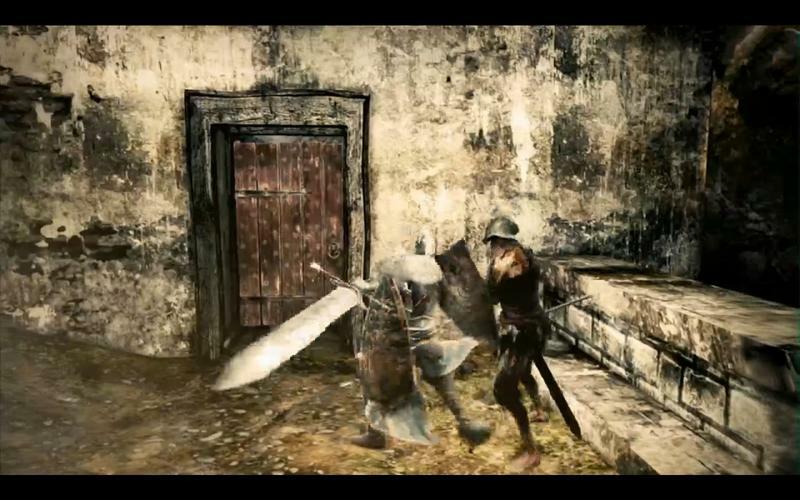 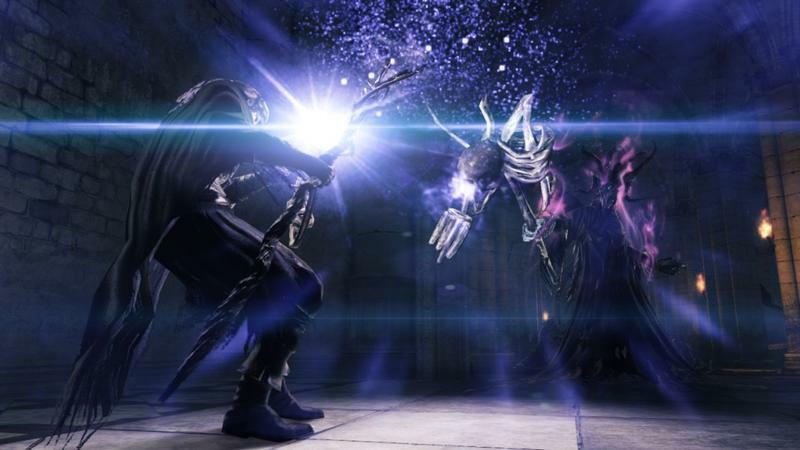 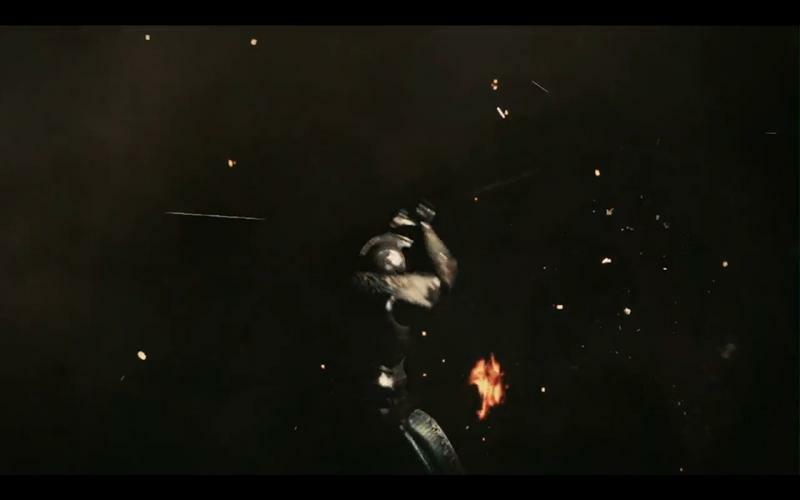 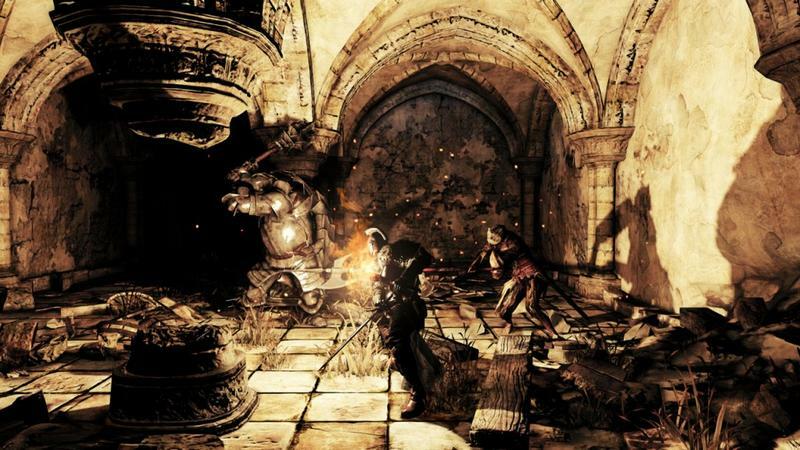 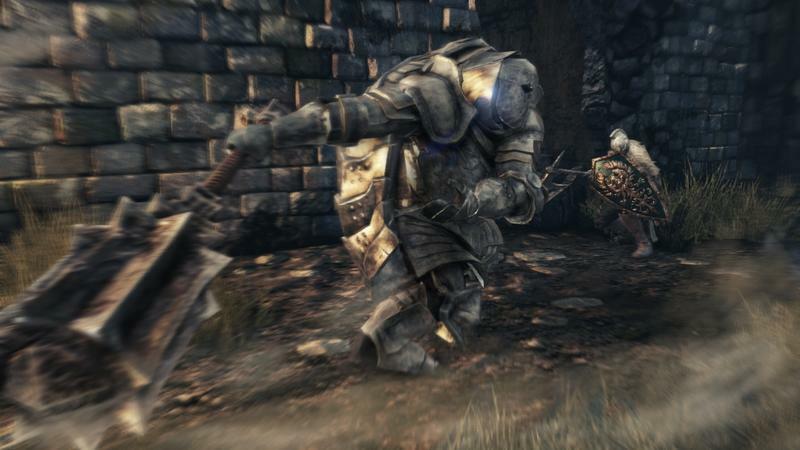 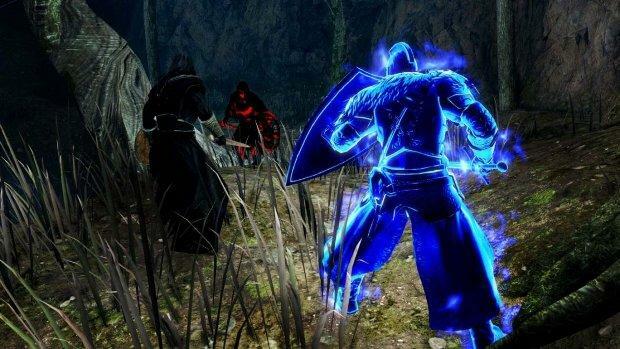 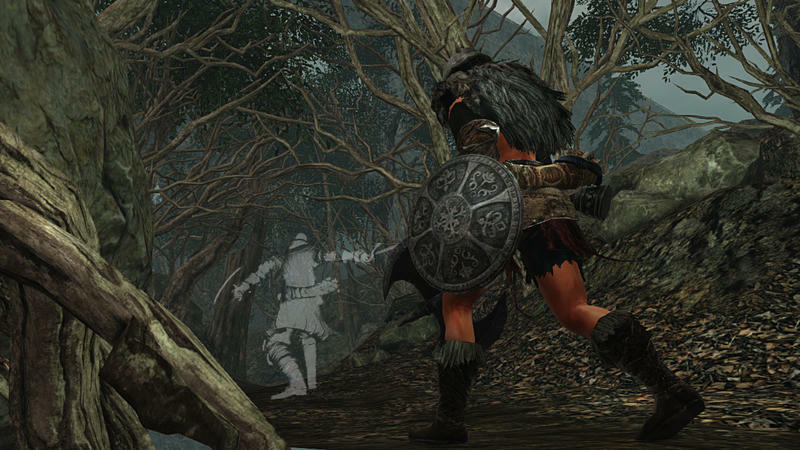 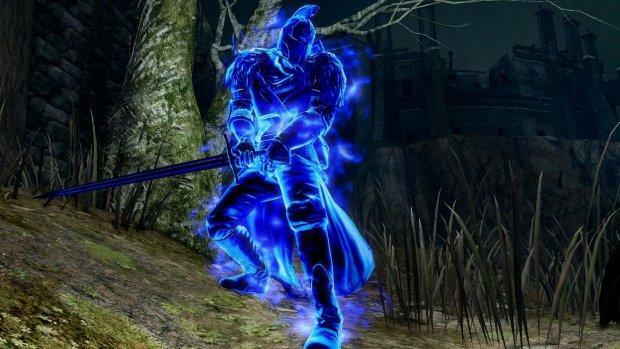 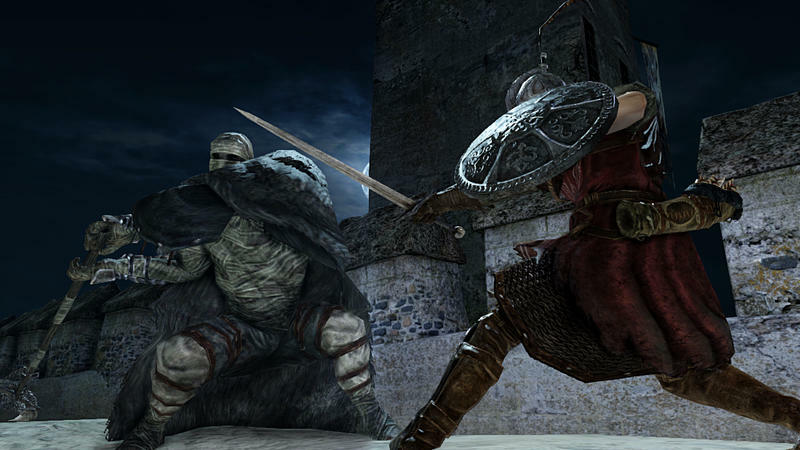 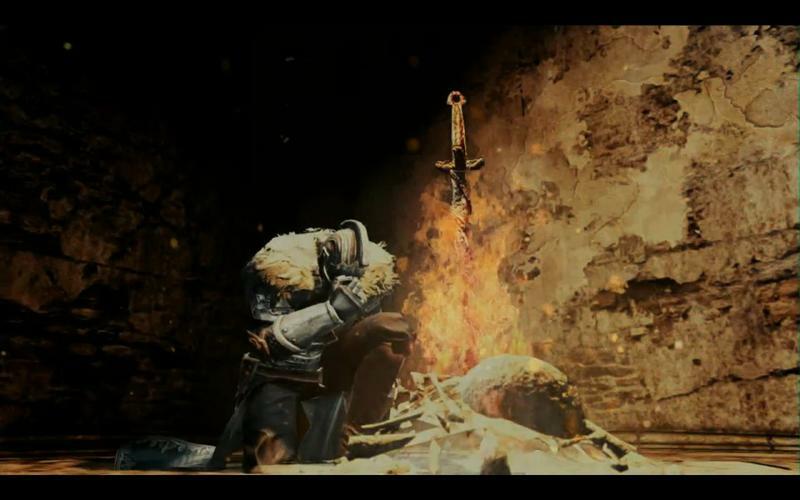 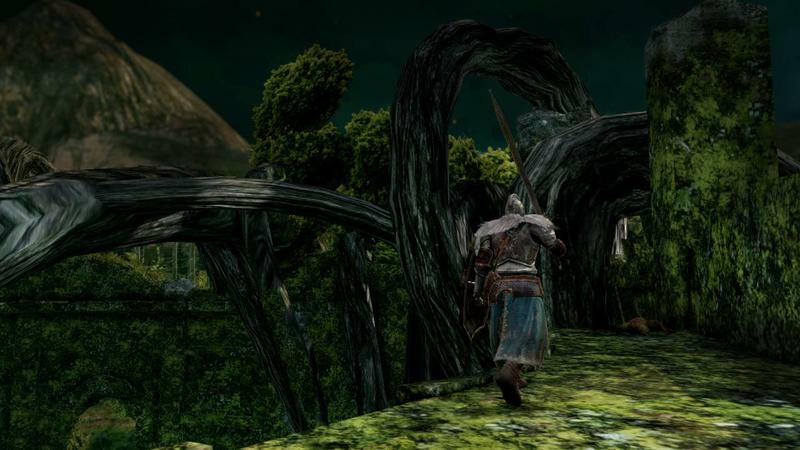 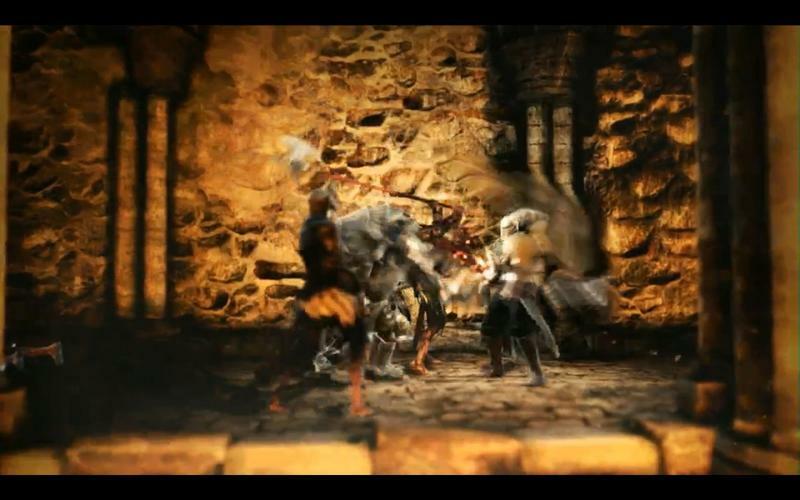 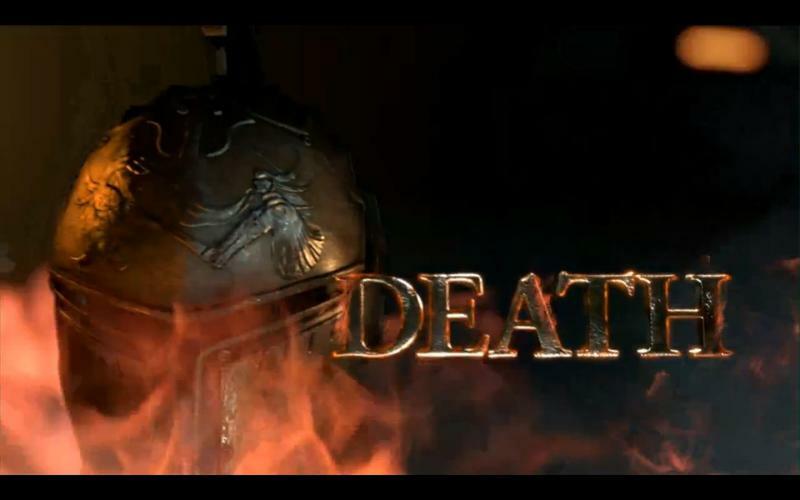 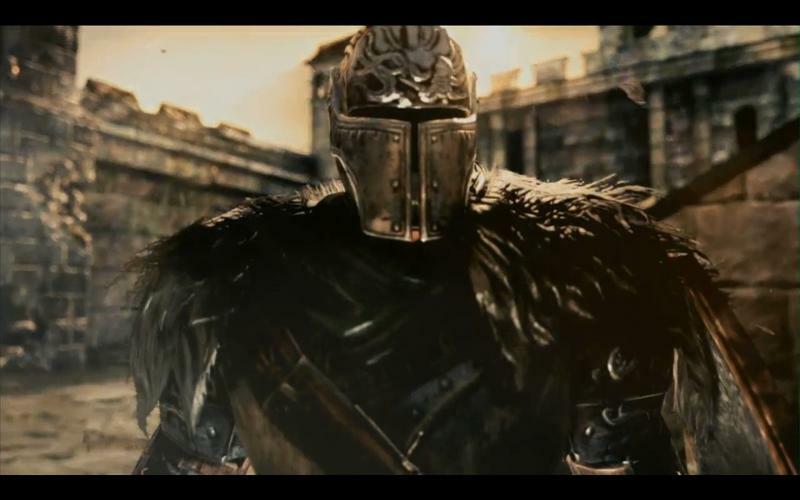 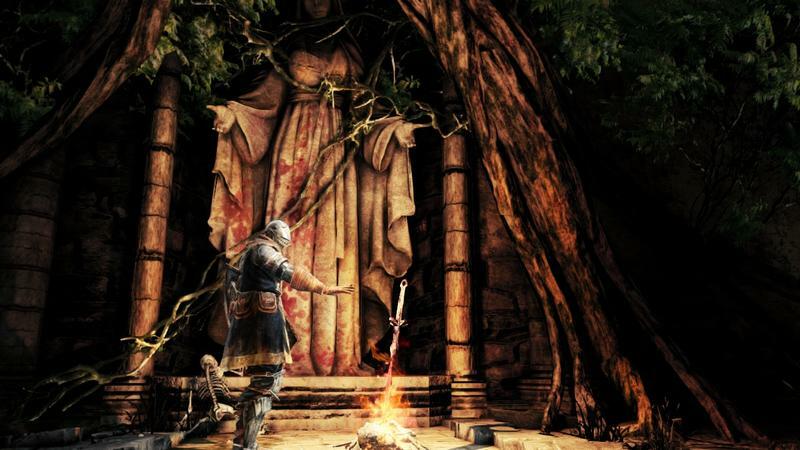 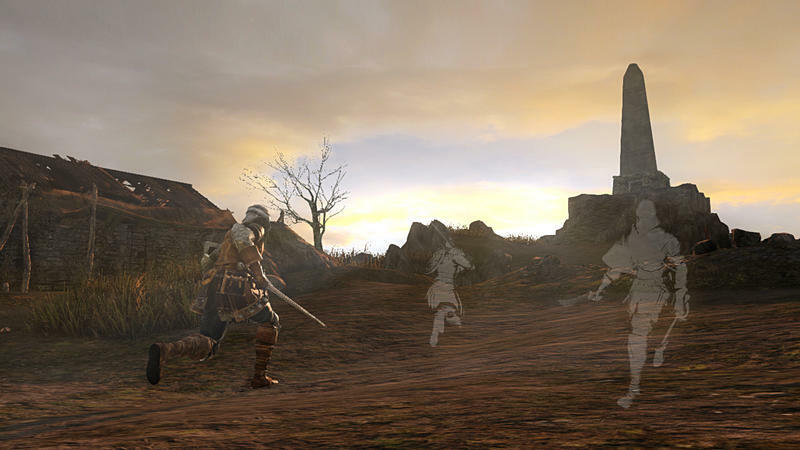 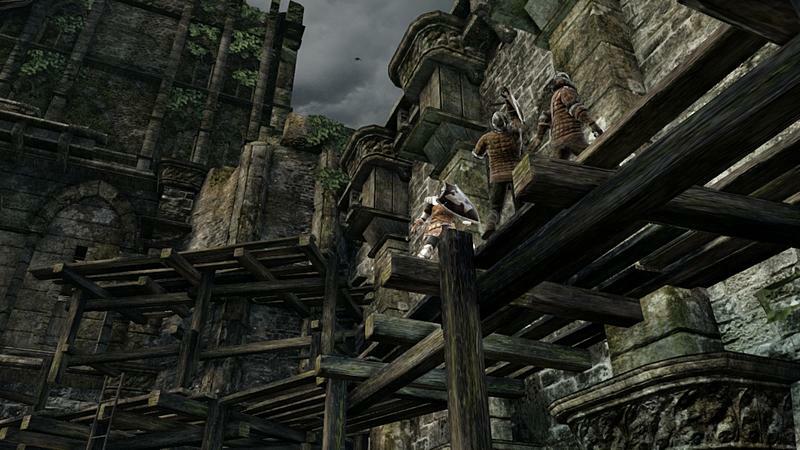 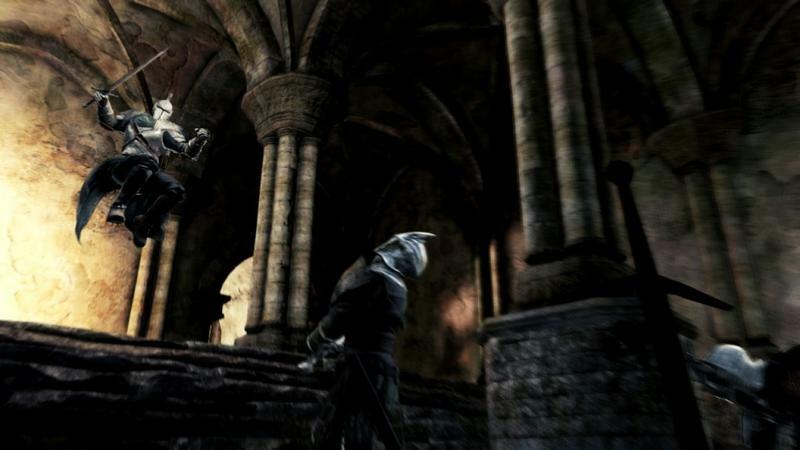 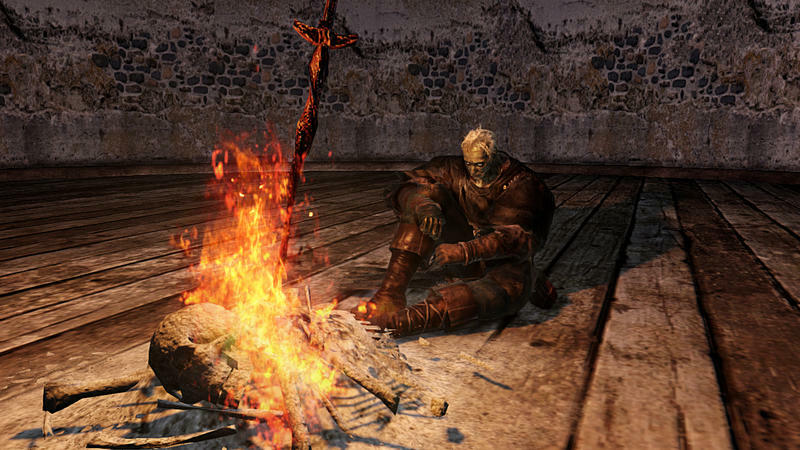 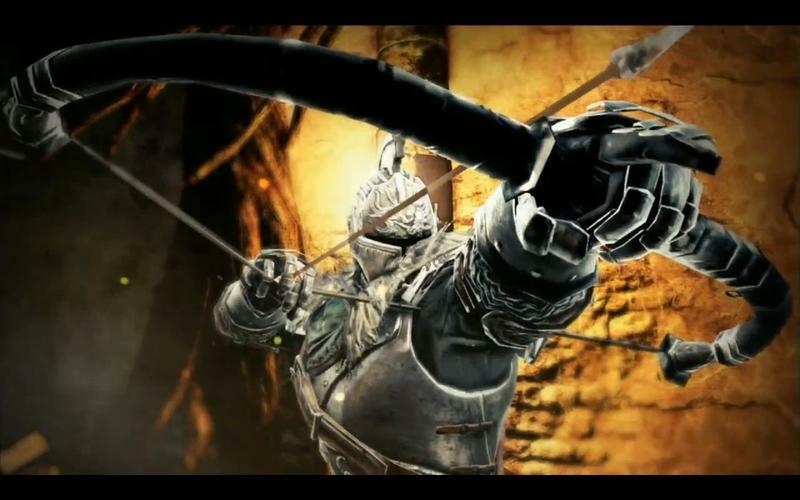 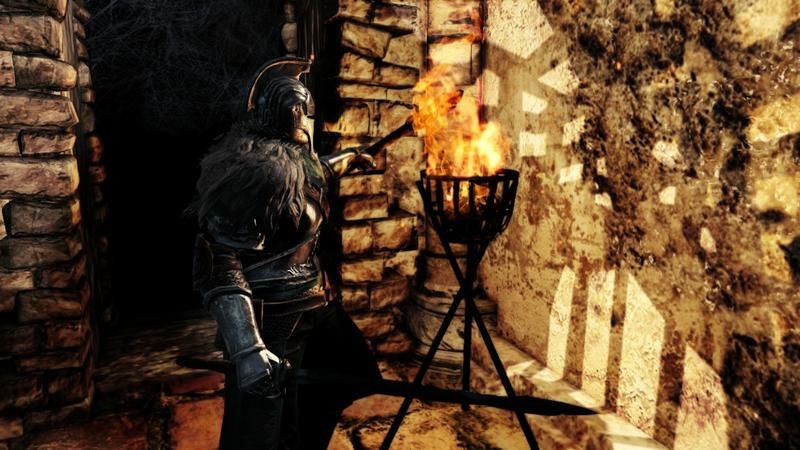 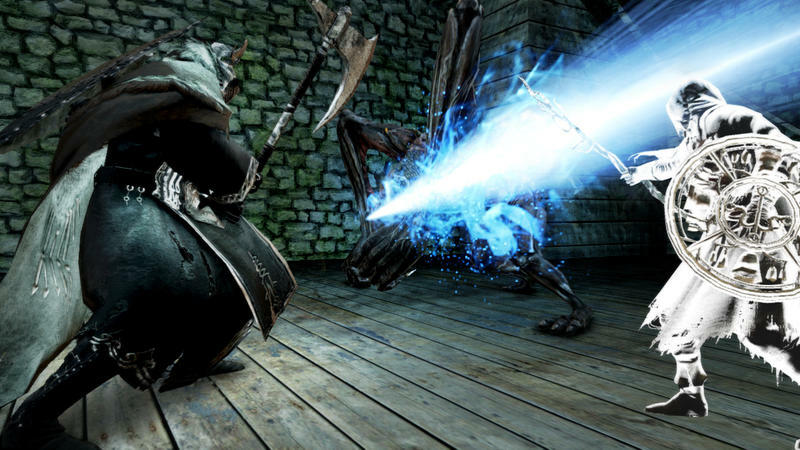 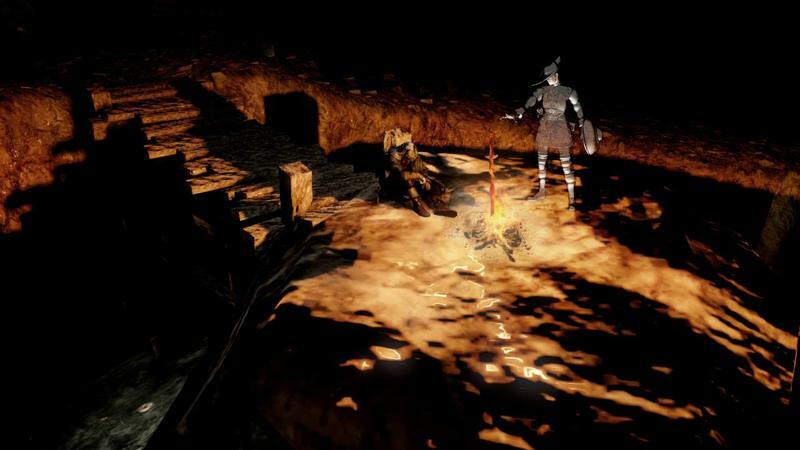 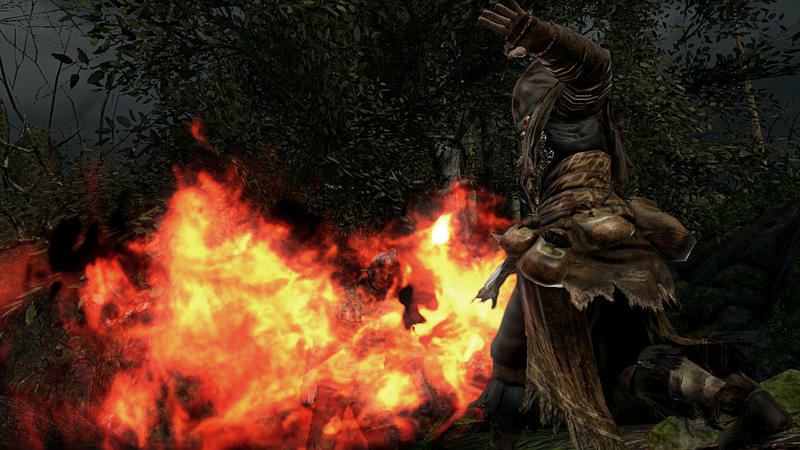 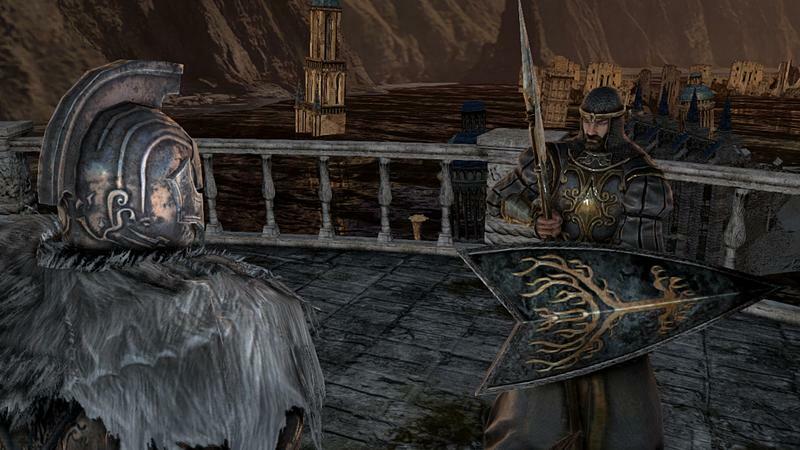 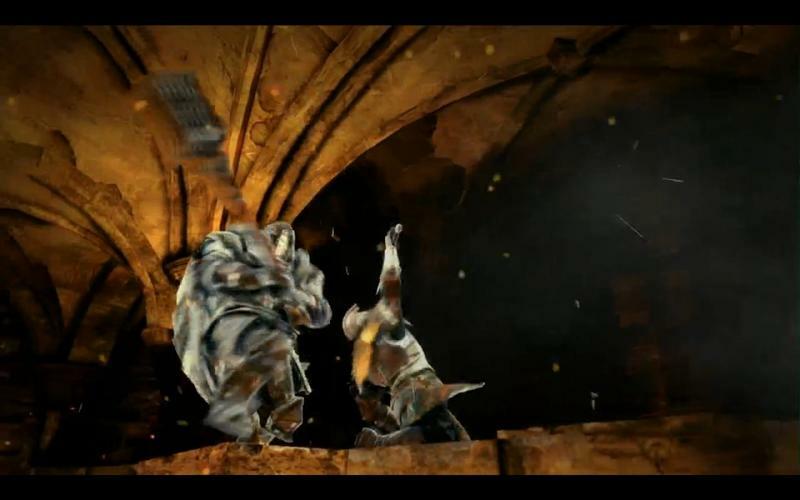 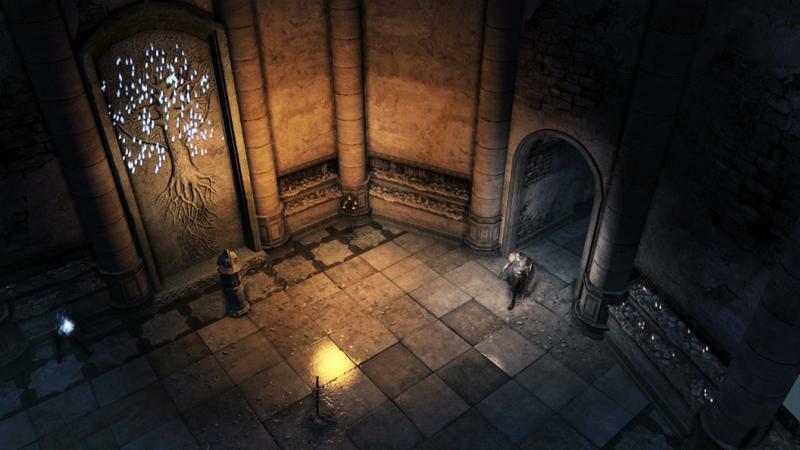 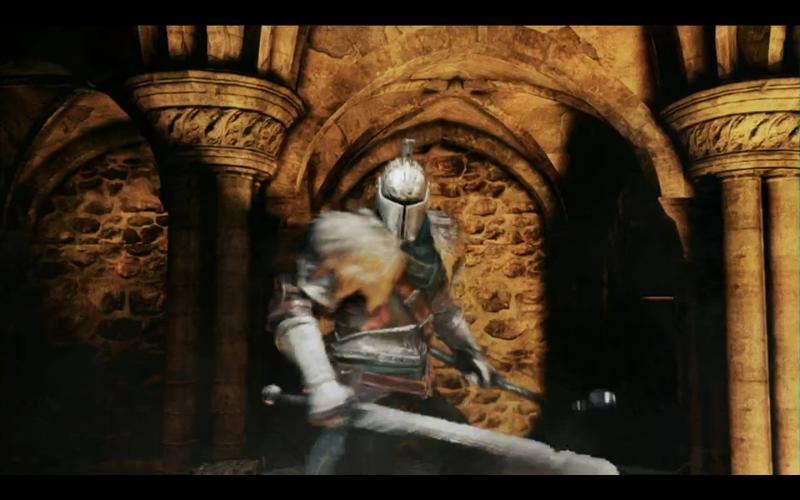 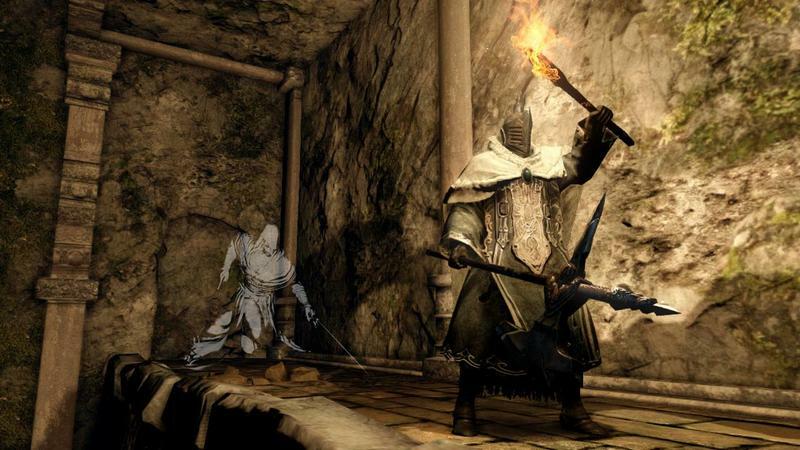 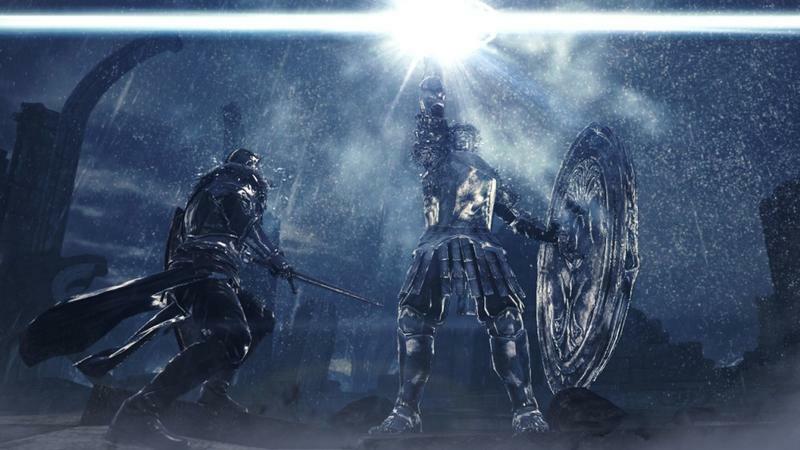 Dark Souls II will be released for the PlayStation 3, Xbox 360 and PC on March 11.